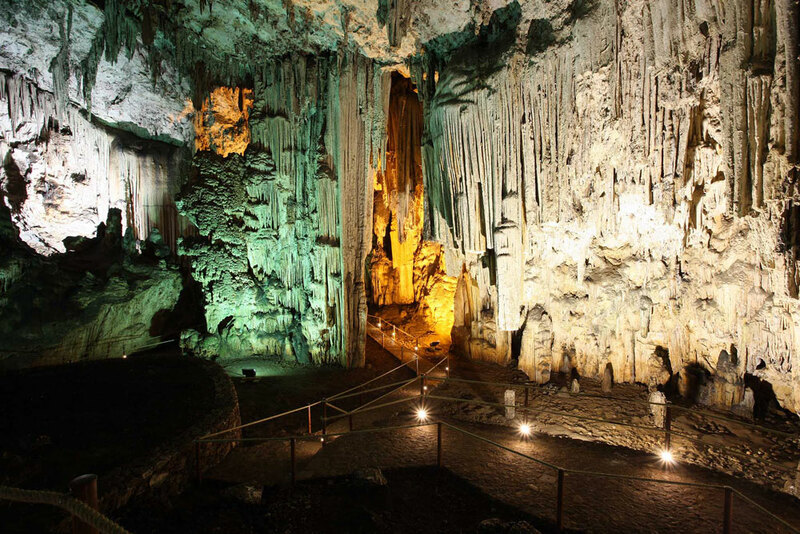 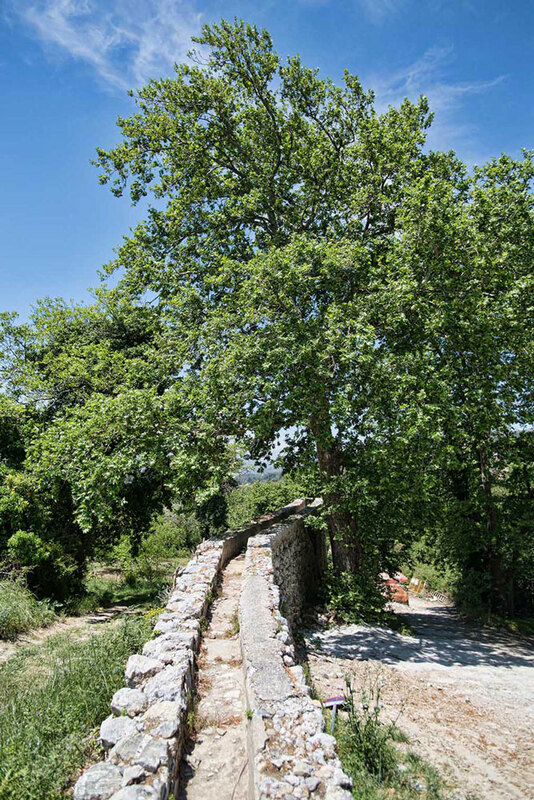 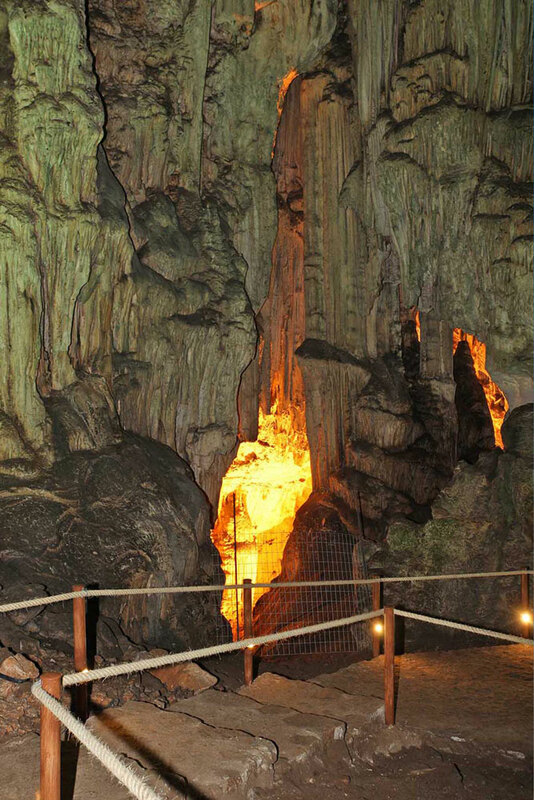 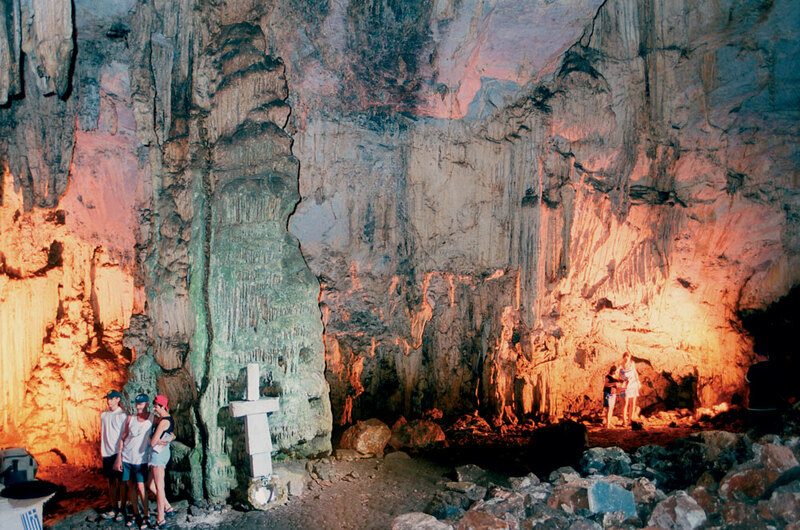 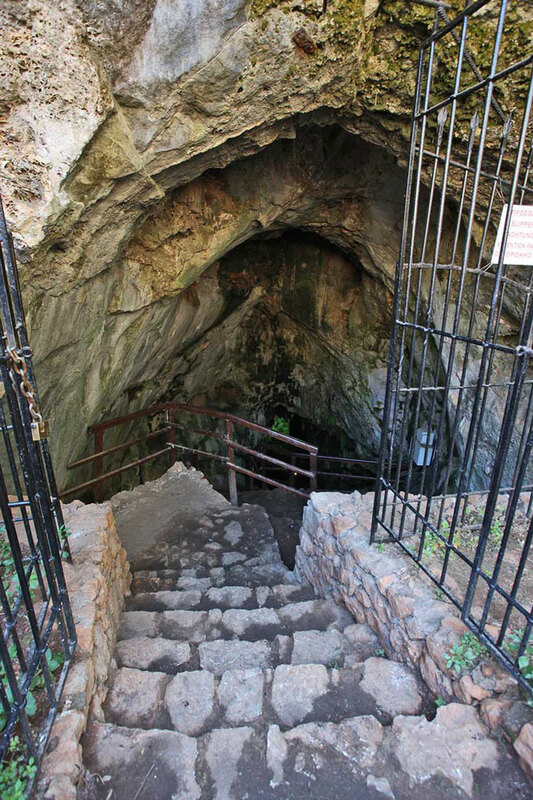 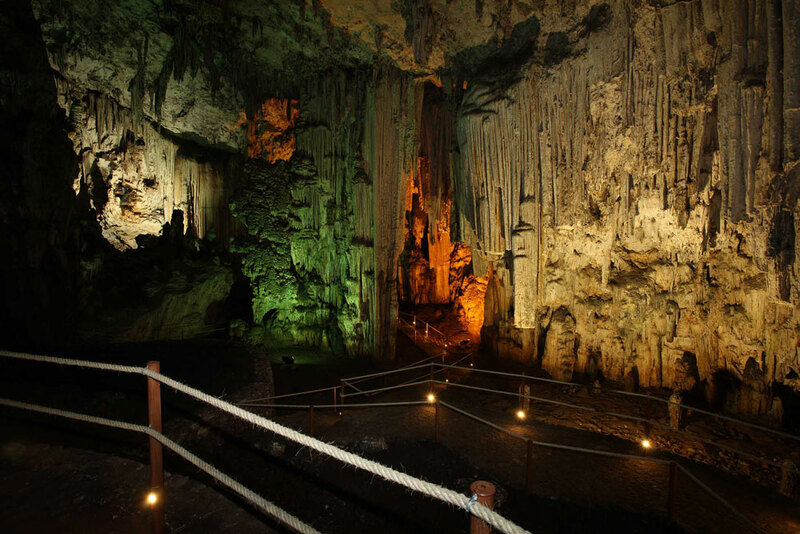 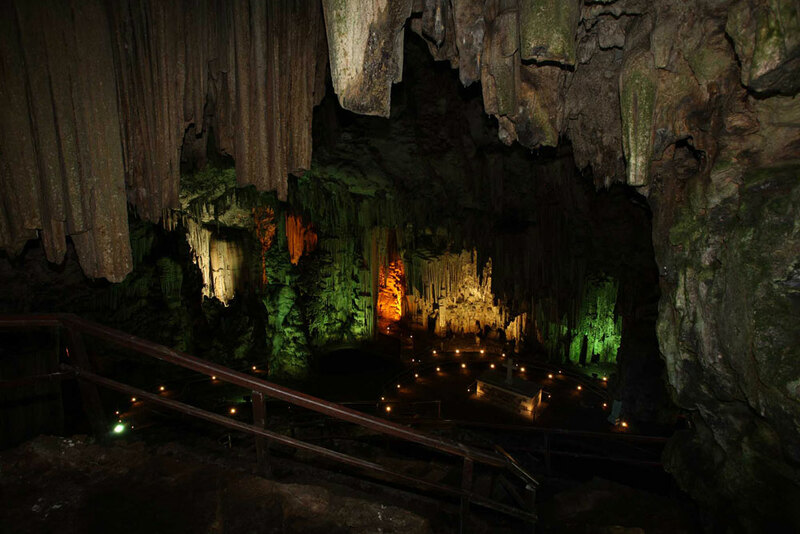 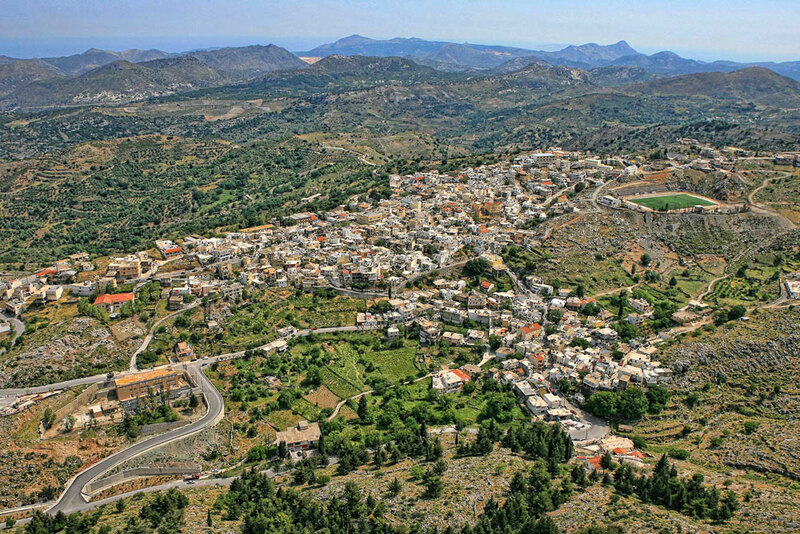 The Melidoni cave is located close to the Melidoni village and has a great archeological and historical significance. 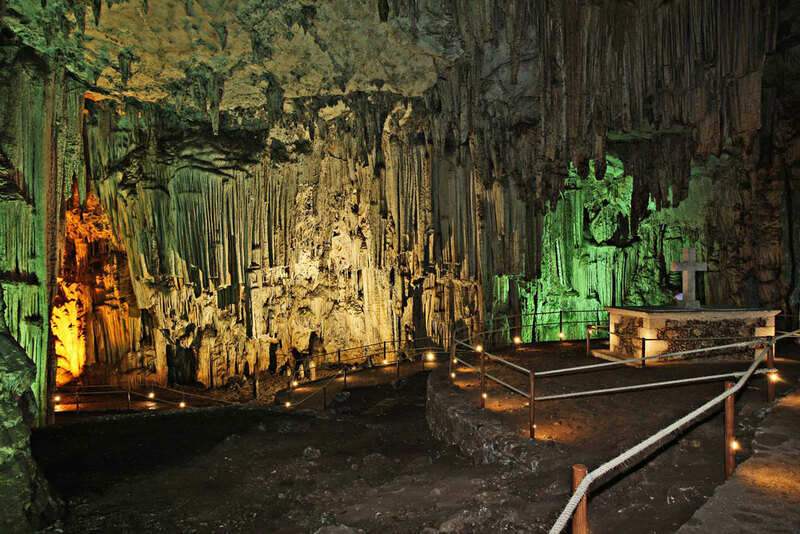 According to archeologists the cave was inhabited continuously from the Neolithic to the Late Roman period. 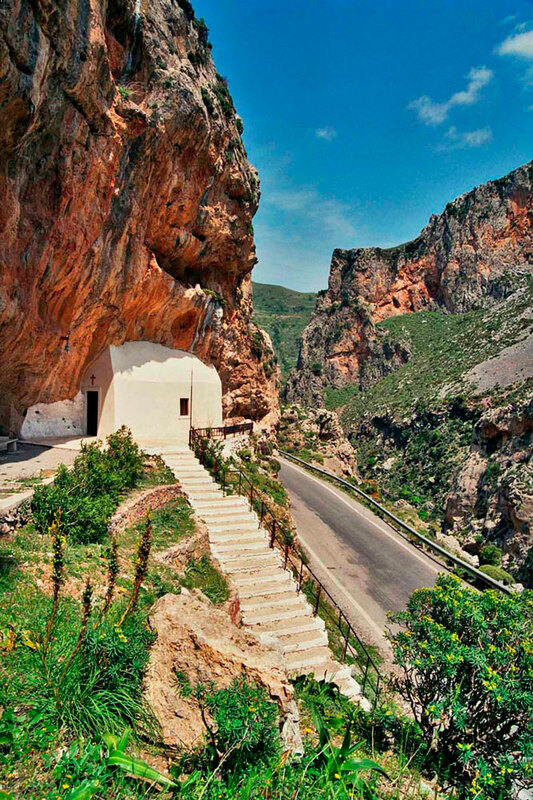 In October 1823, 370 Melidoni citizen found refuge in the cave to escape the Ottomans. 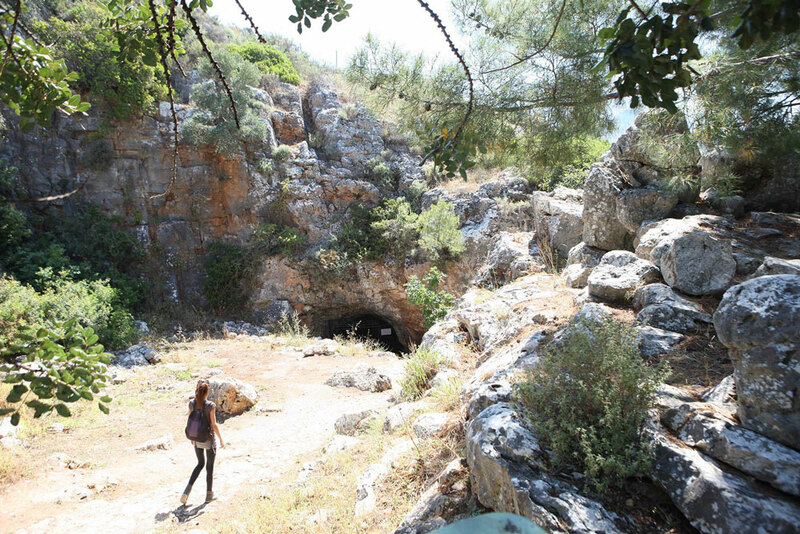 After some unsuccessful attempts of recapturing the cave, the Ottomans blocked the cave and light a fire. 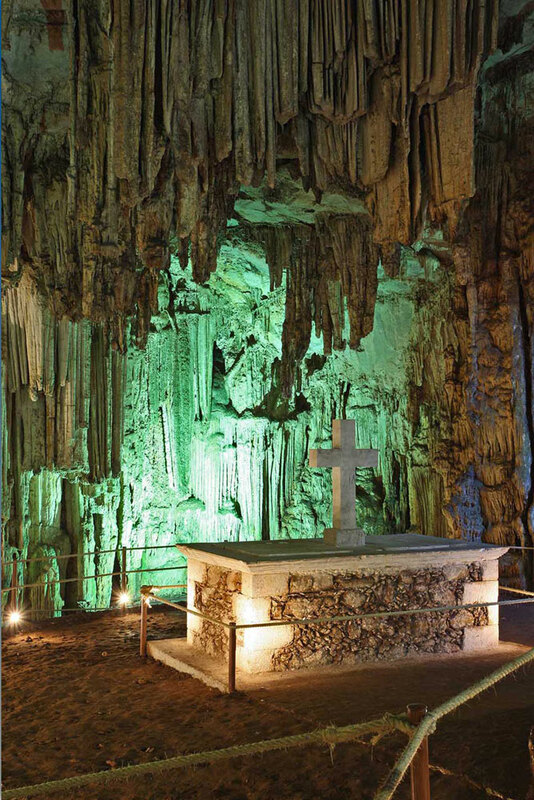 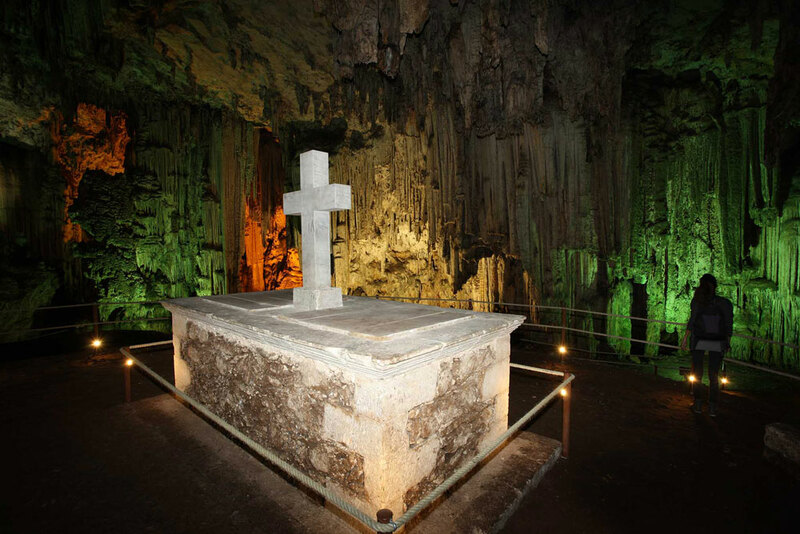 The bones of the victims are still kept in the central chamber of the cave. 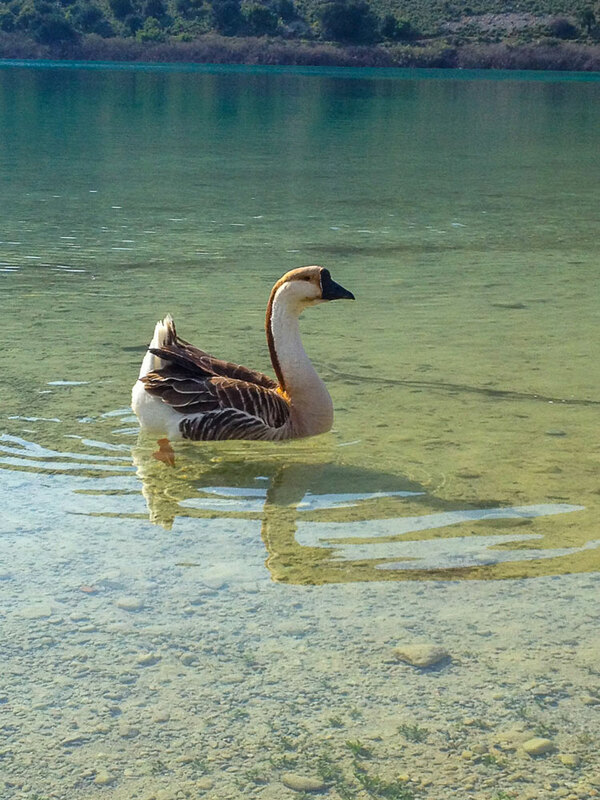 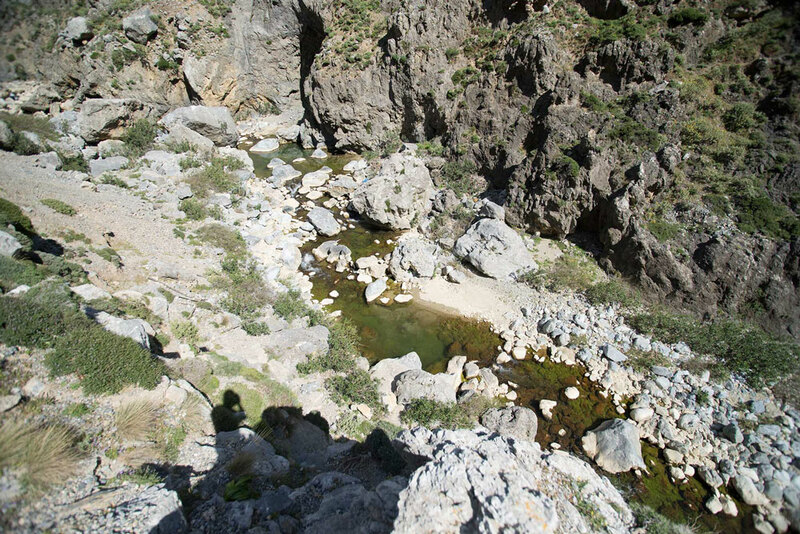 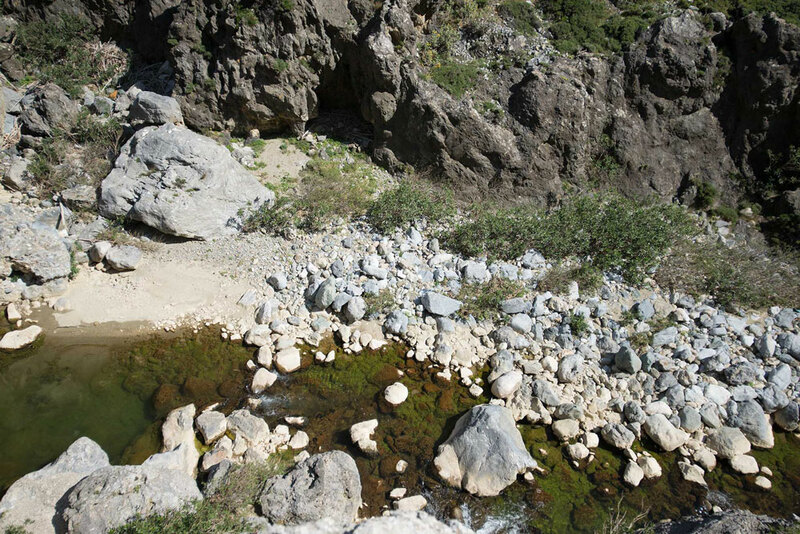 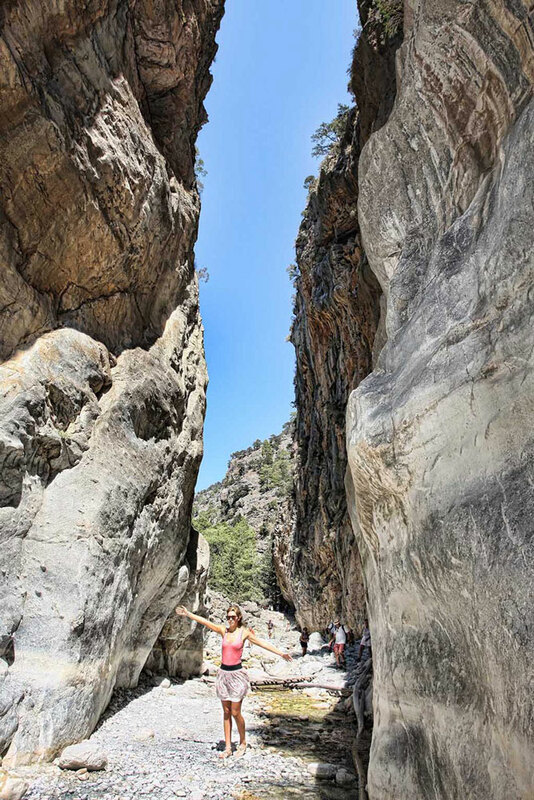 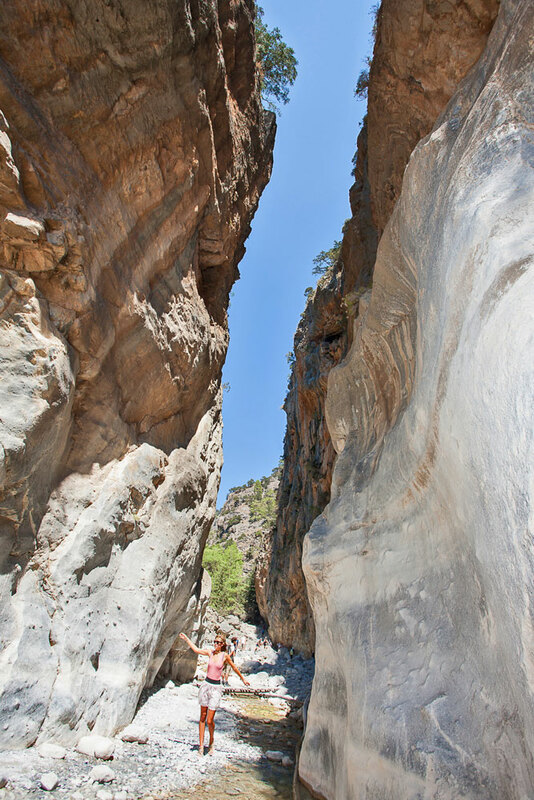 Named after the Kourtaliotis or Big River, this extraordinary gorge is famous for the variety of Cretan birds and wild animals that live there and for its impressive natural scenery. 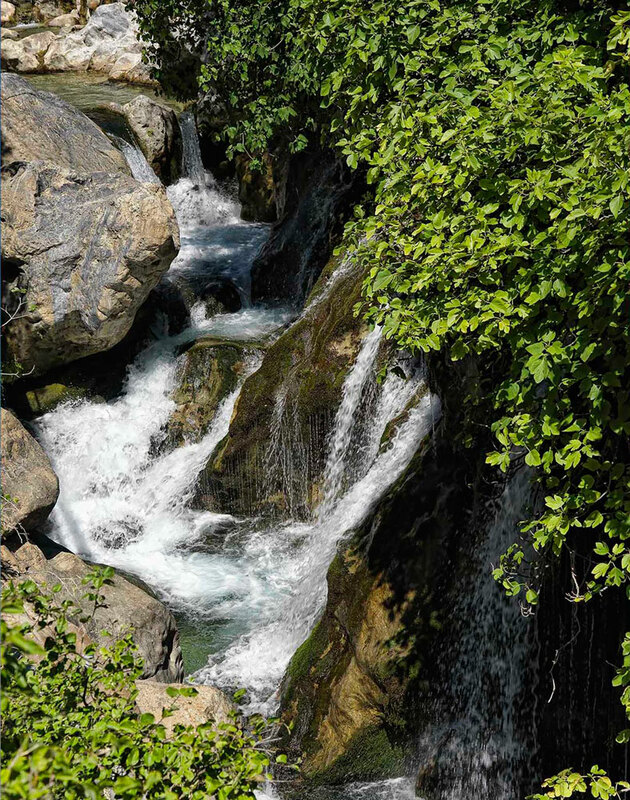 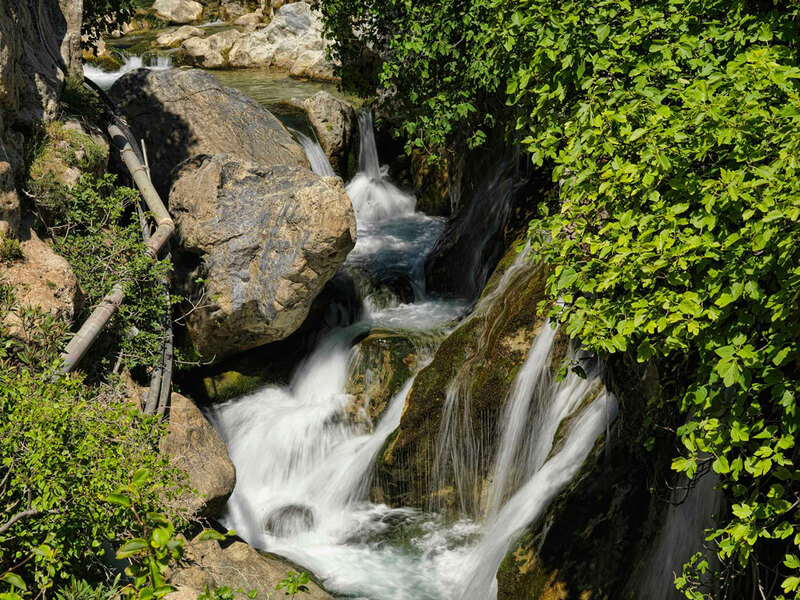 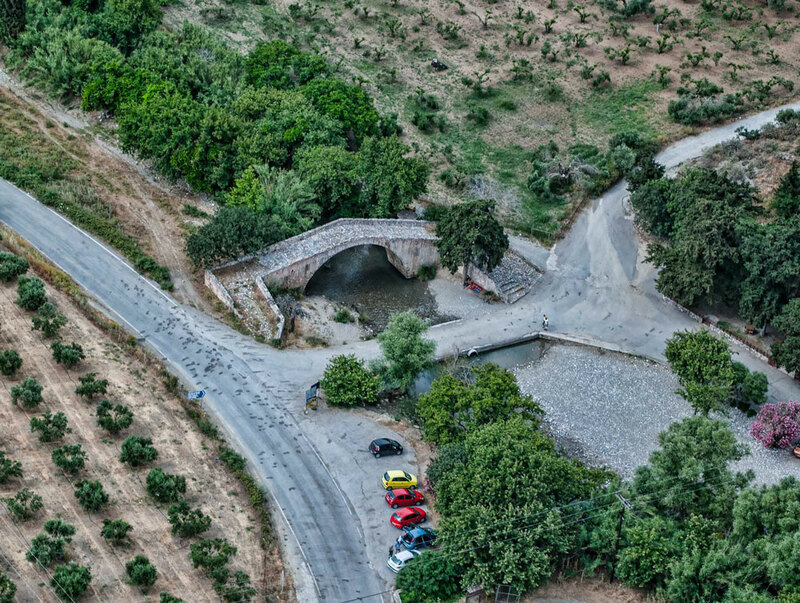 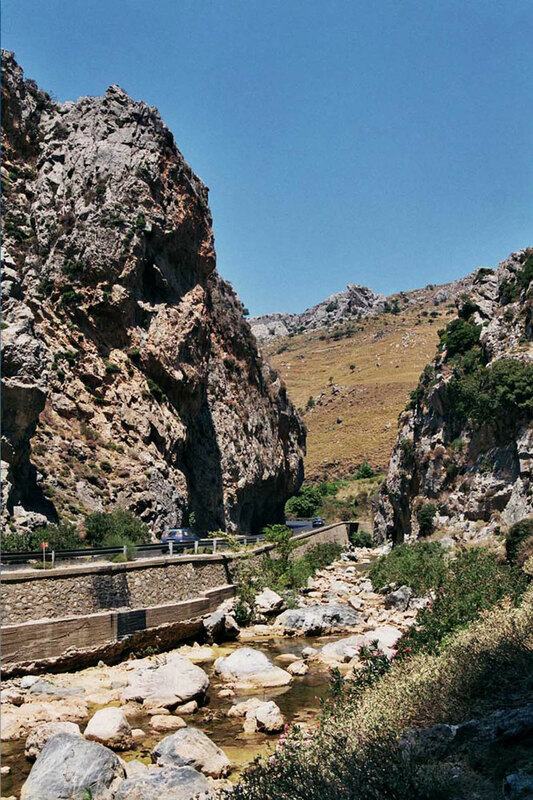 The river’s water have to travel a long way under old bridges and over beautiful waterfalls before it can reach the sea and the palm trees of Preveli beach. 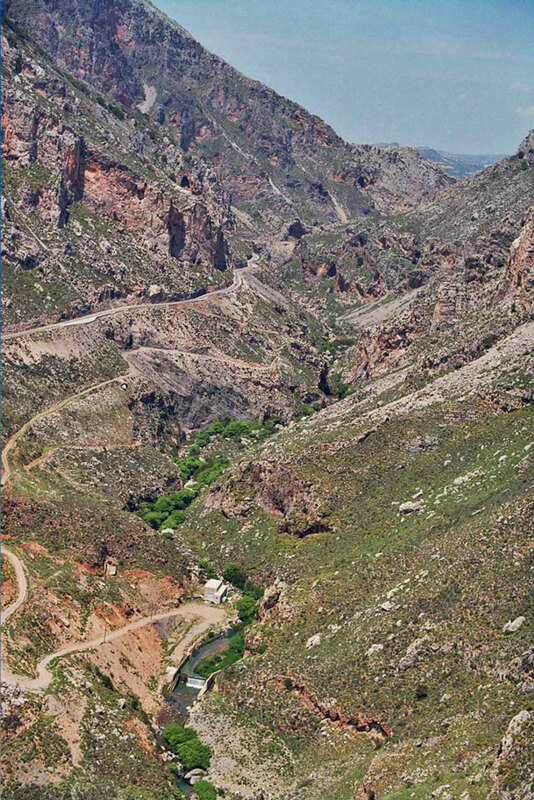 The gorge is 3km long with cliffs of 600 meters in height and along with the neighboring lake of Preveli, is part of the Natura 2000 Network. 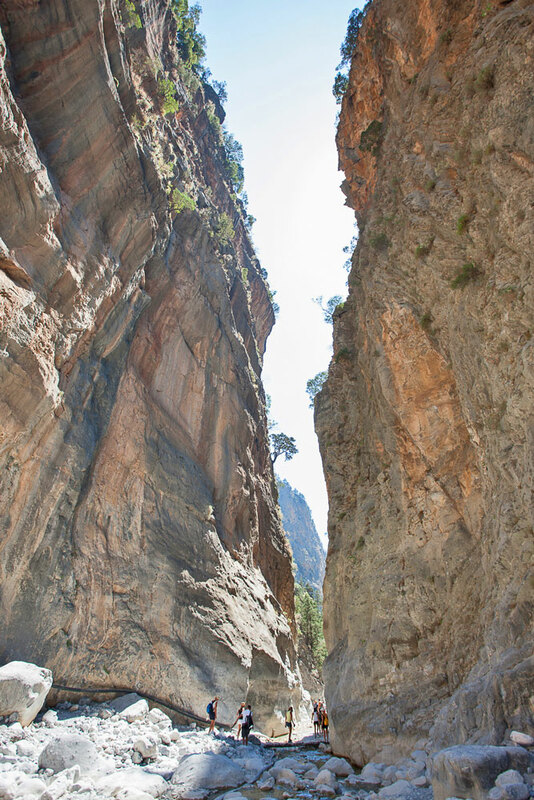 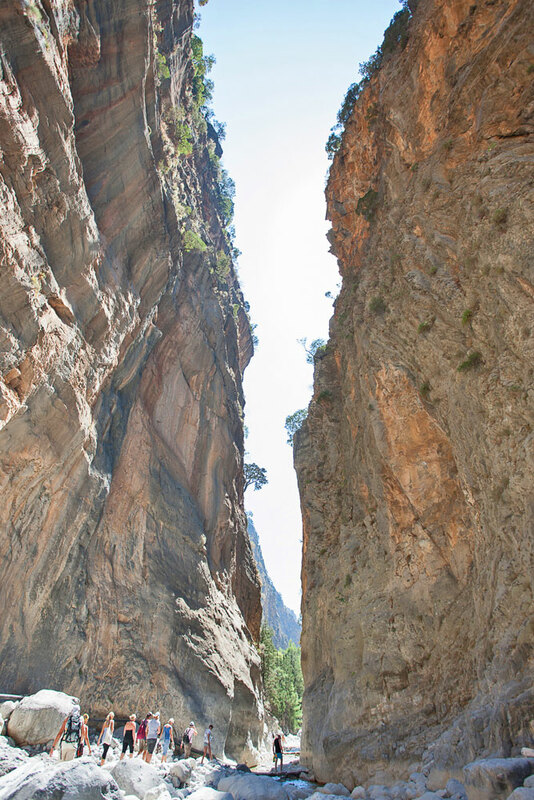 The gorge of Samaria is the most famous gorge of Crete and one of the greatest in Europe. 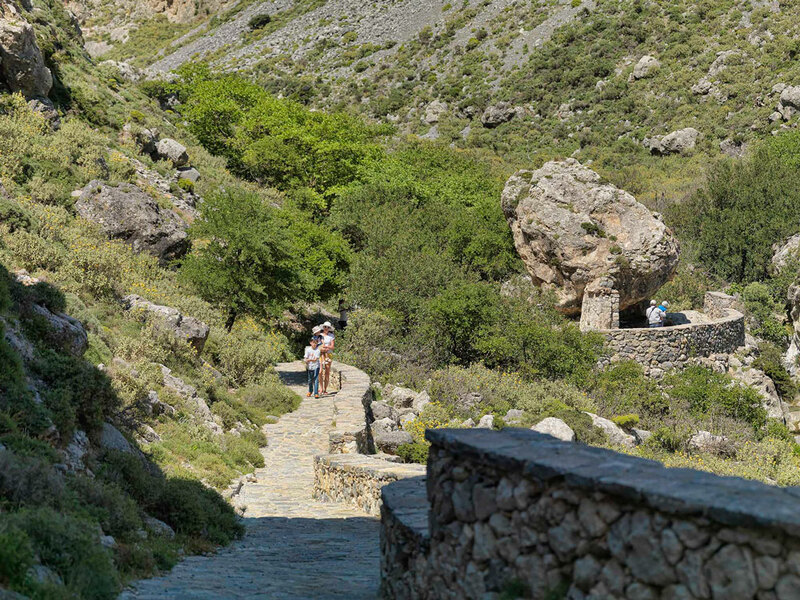 It has been declared a National Park since 1962 and more than 300.000 people visit it every year to admire it’s unique beauty and variety of sceneries. 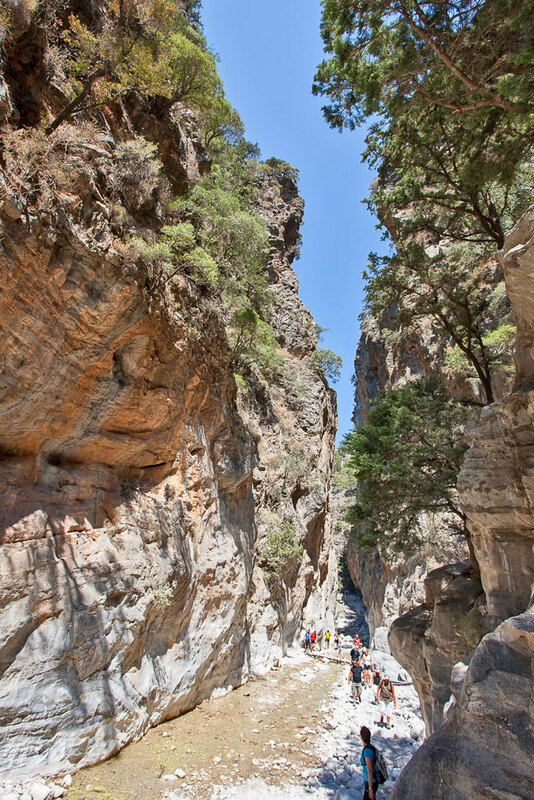 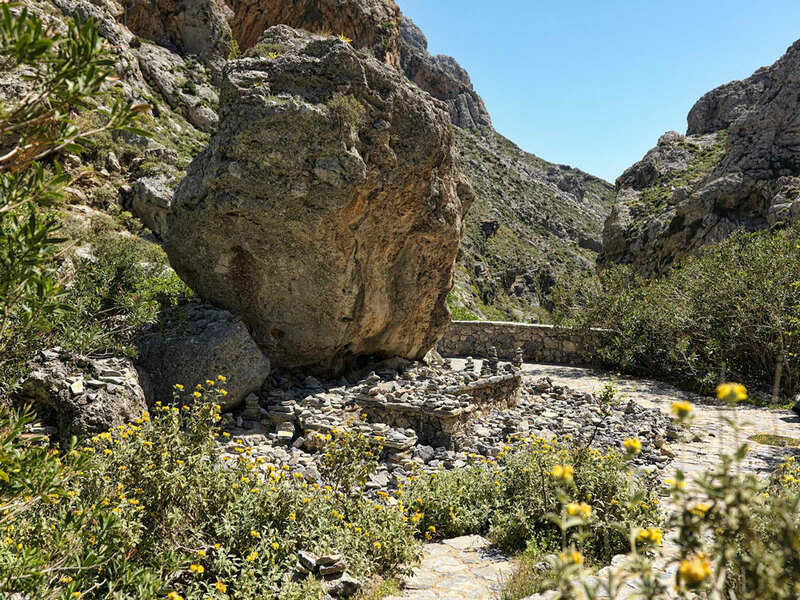 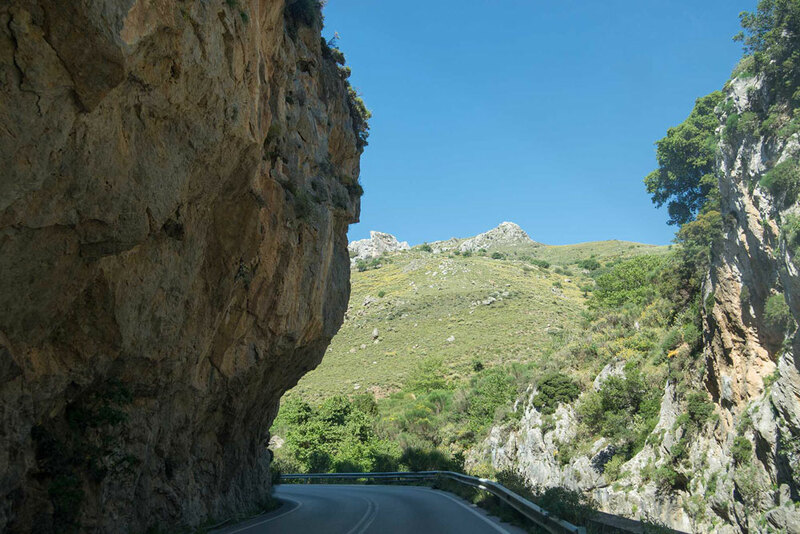 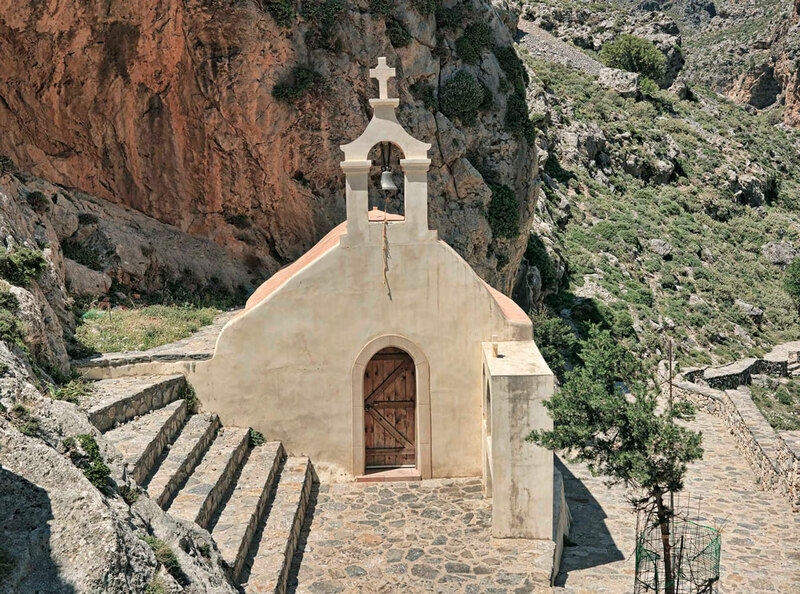 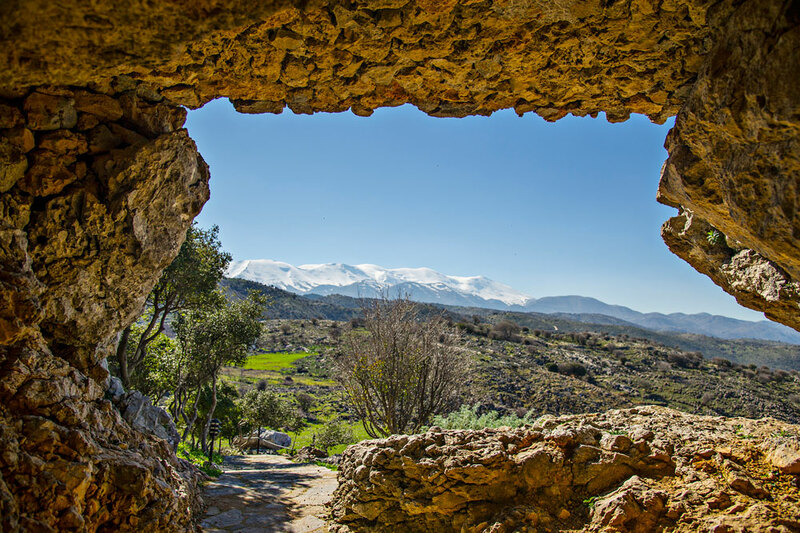 It is home to the endangered species Kri-Kri, a wild goat that can only be found in Crete and almost 450 species of the Cretan flora, 70 of which can only be found in this gorge. 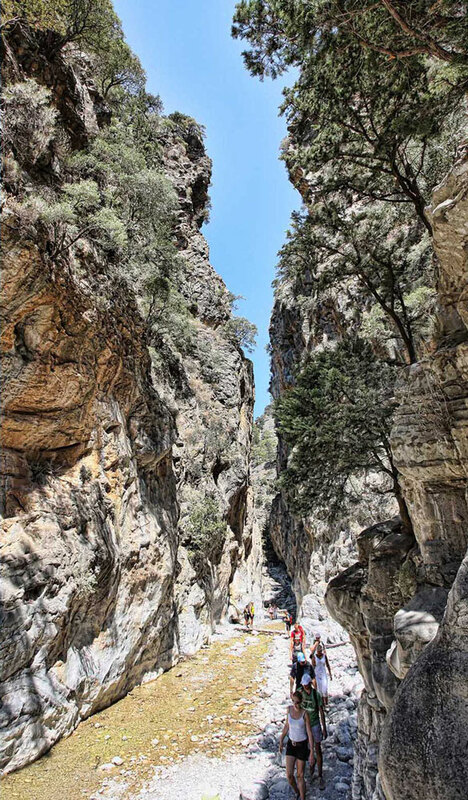 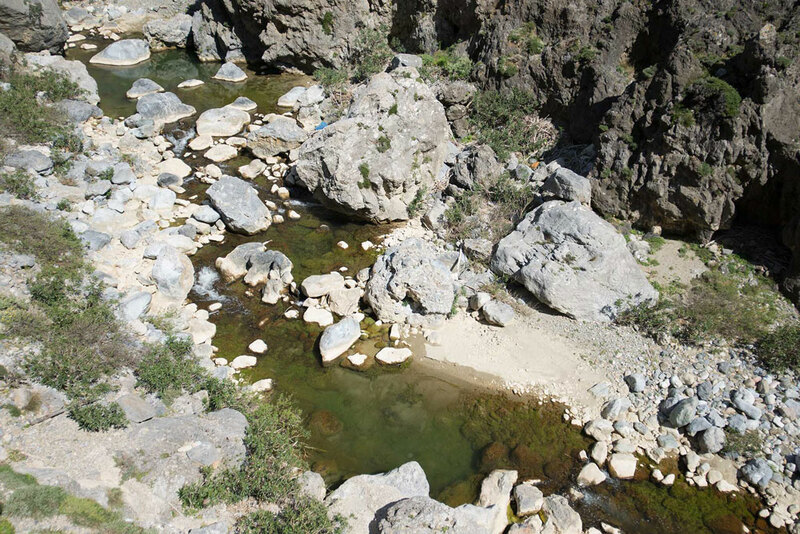 The length of the gorge is 16km but hiking from one side of the National Park to the other is 18km and it will take you 6 to 8 hours to cross. 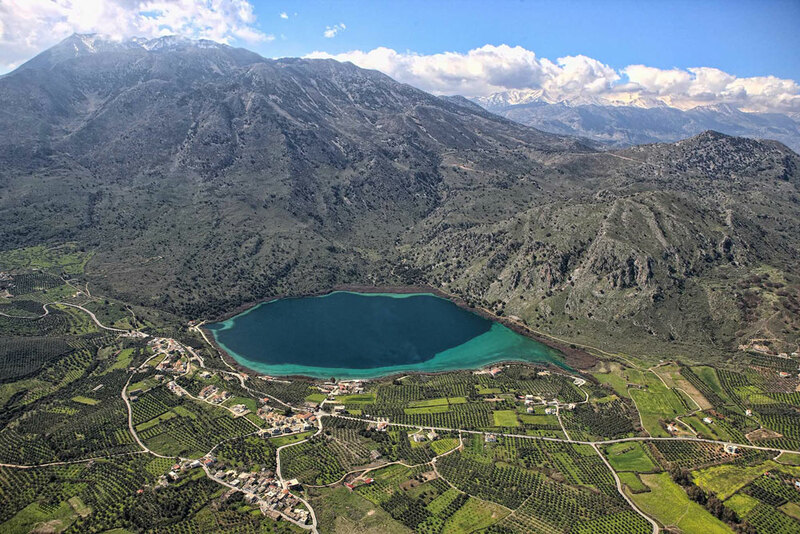 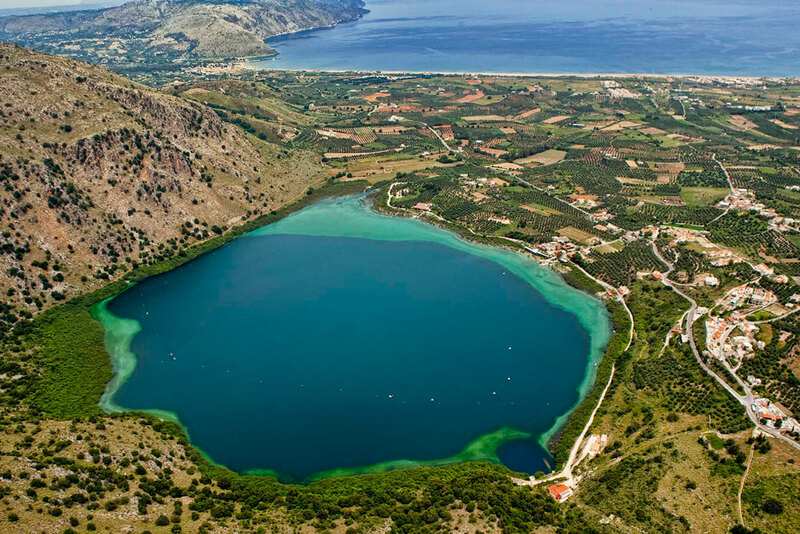 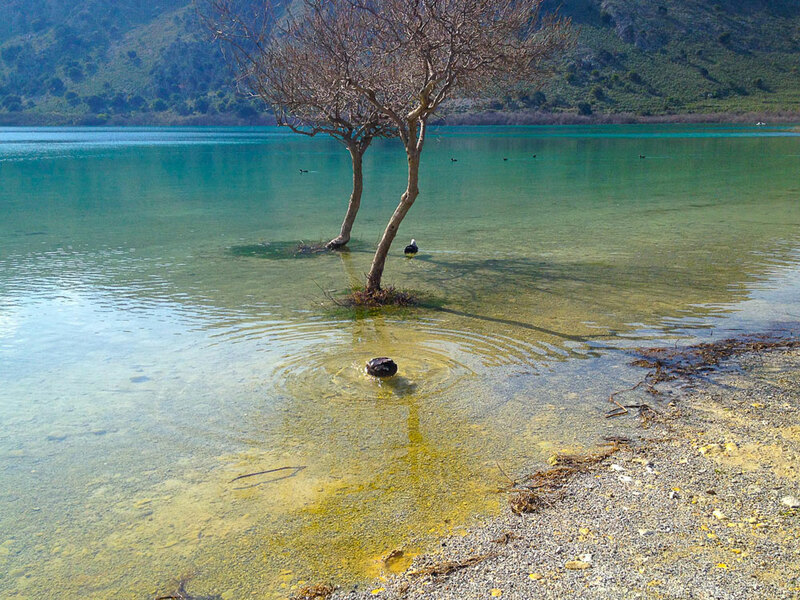 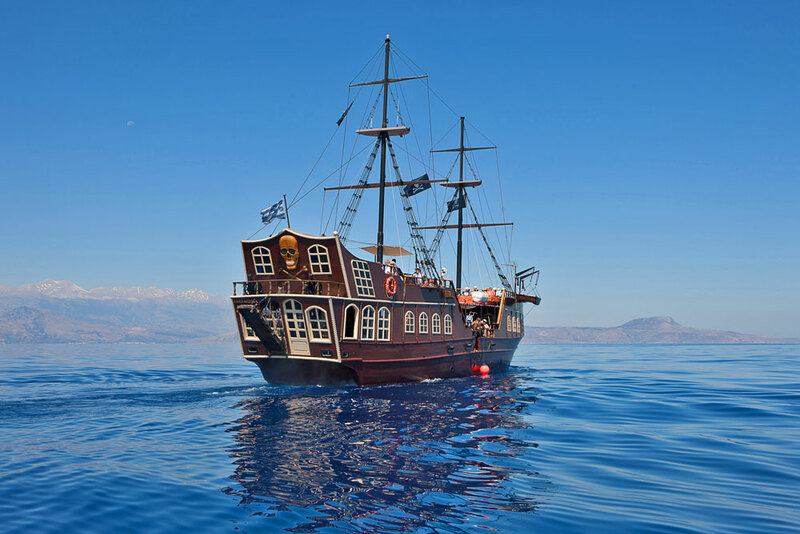 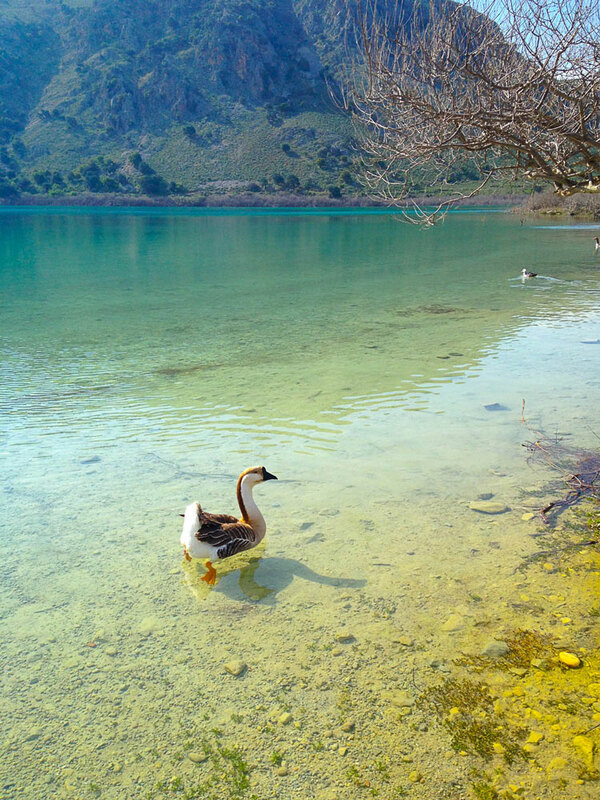 This is the largest natural lake in Crete and surely one of the most beautiful. 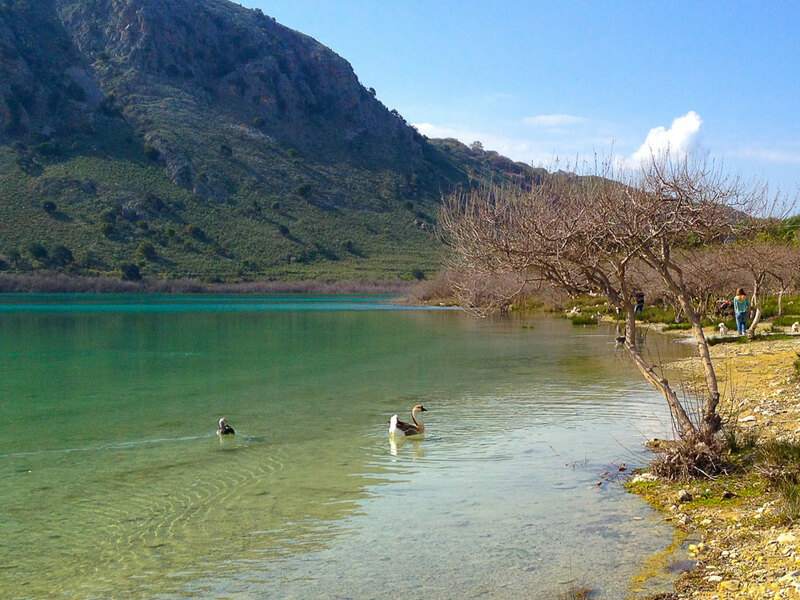 It hosts a rich ecosystem and it is protected by the NATURA 2000 network. 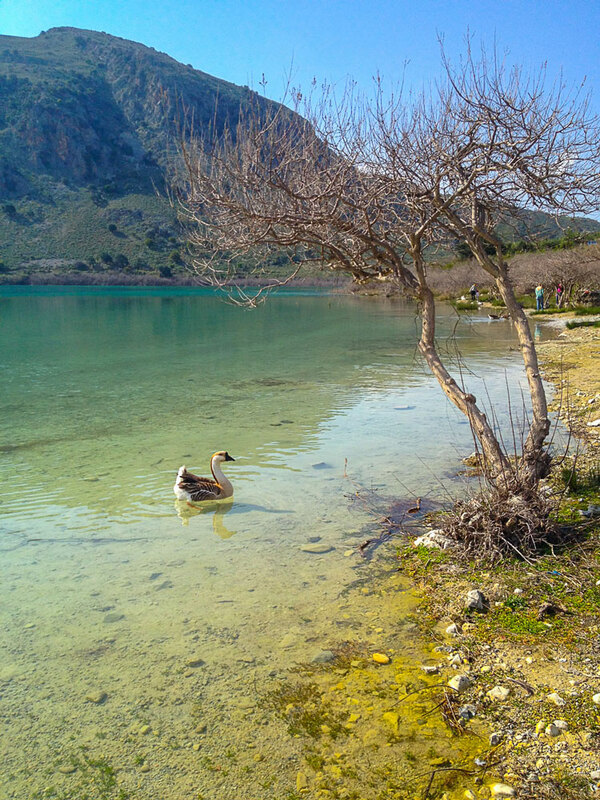 The landscape around the lake is fantastic and offers a great opportunity for long walks and picnics or even swimming. 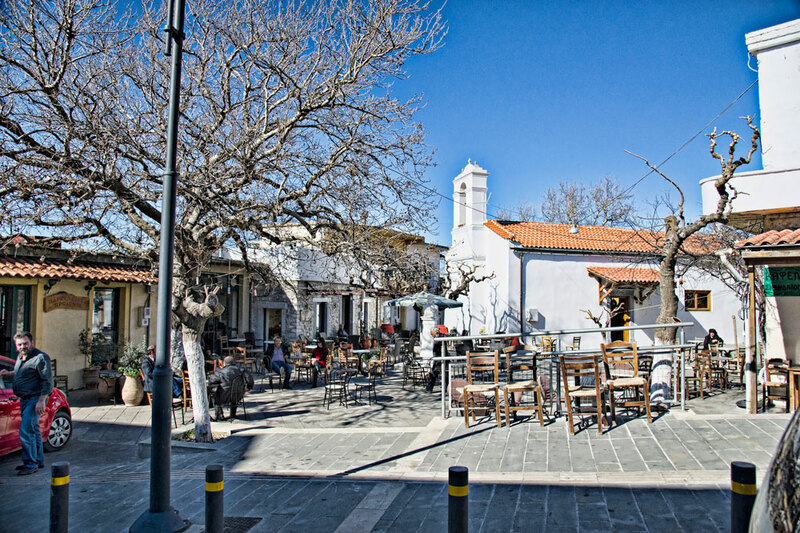 Several cafes and taverns are operating next to the lake for those who want to eat and drink. 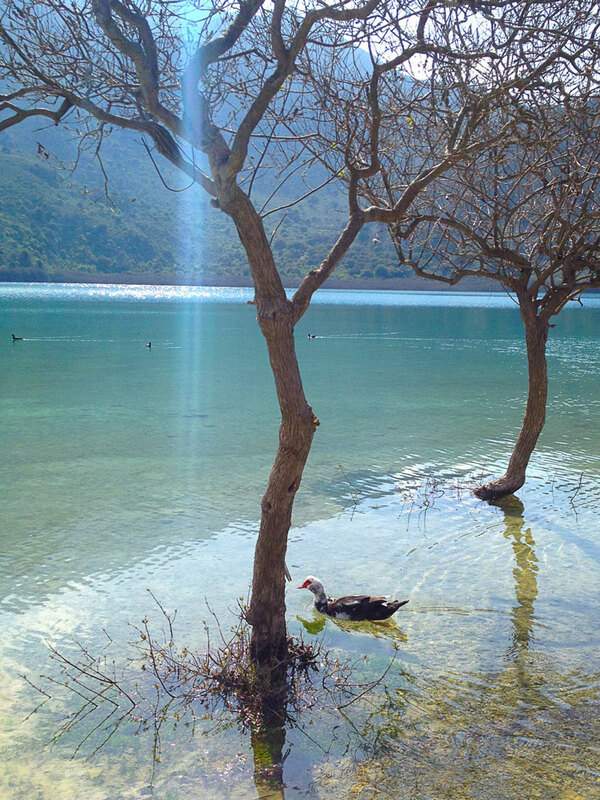 Legend has it that some nights, a fairy appears and brushes her hair by the lake. 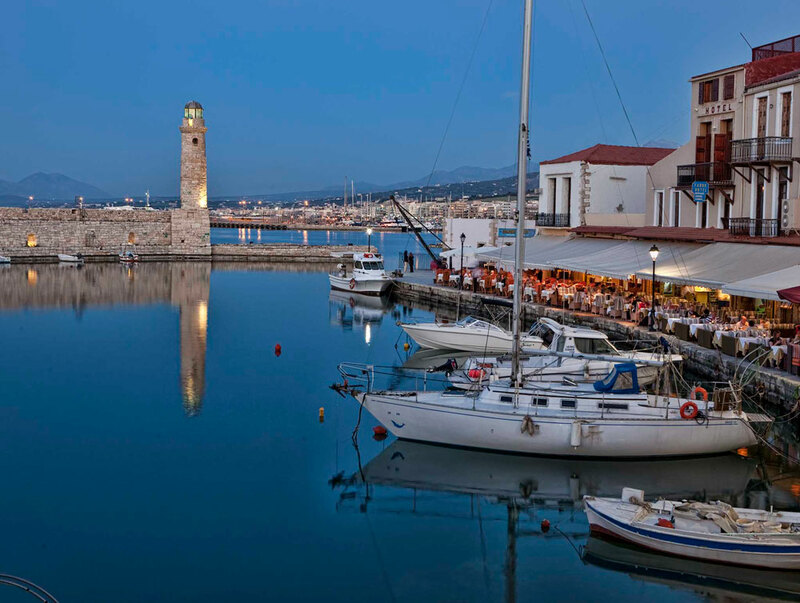 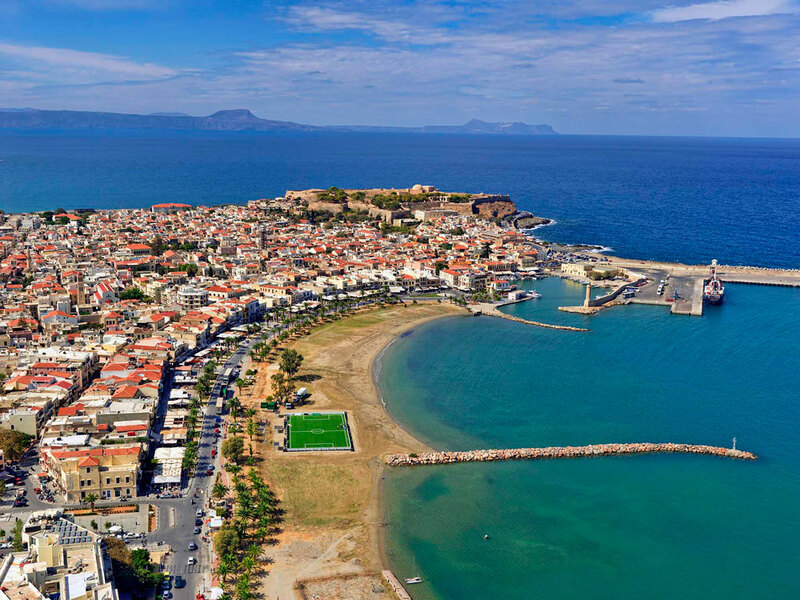 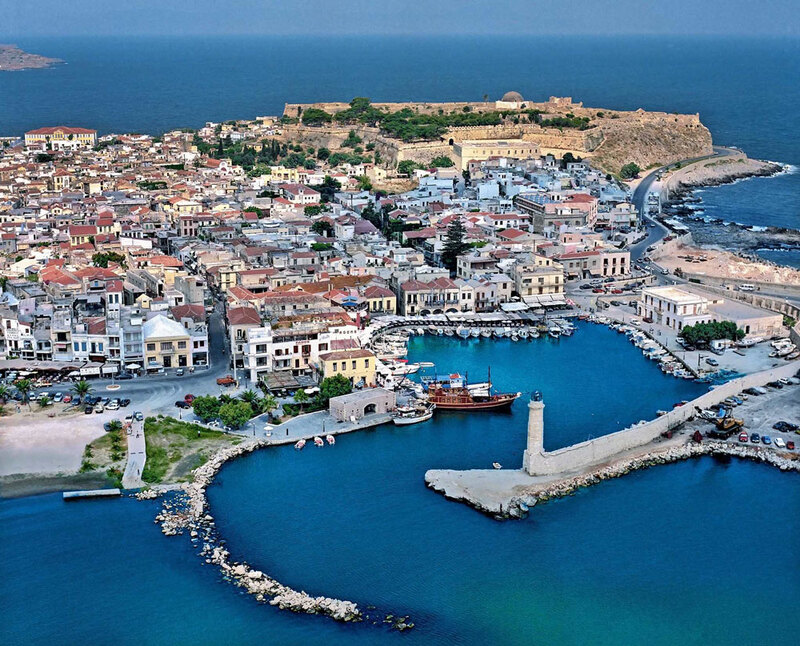 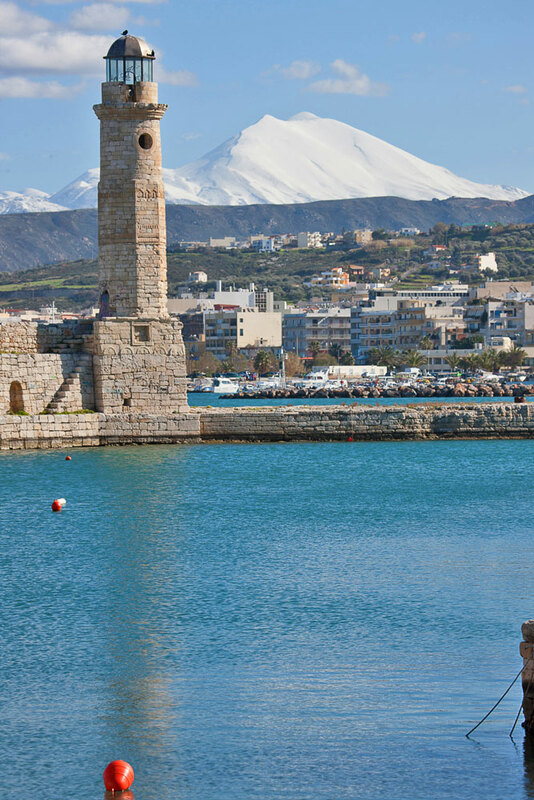 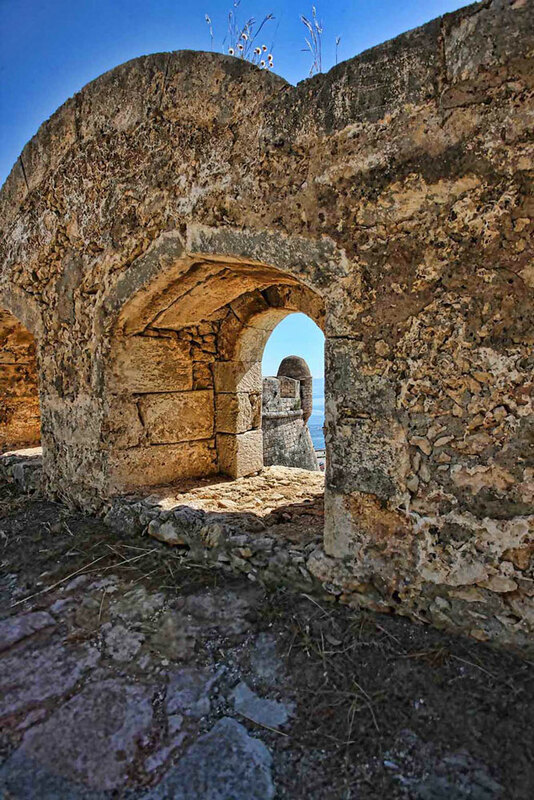 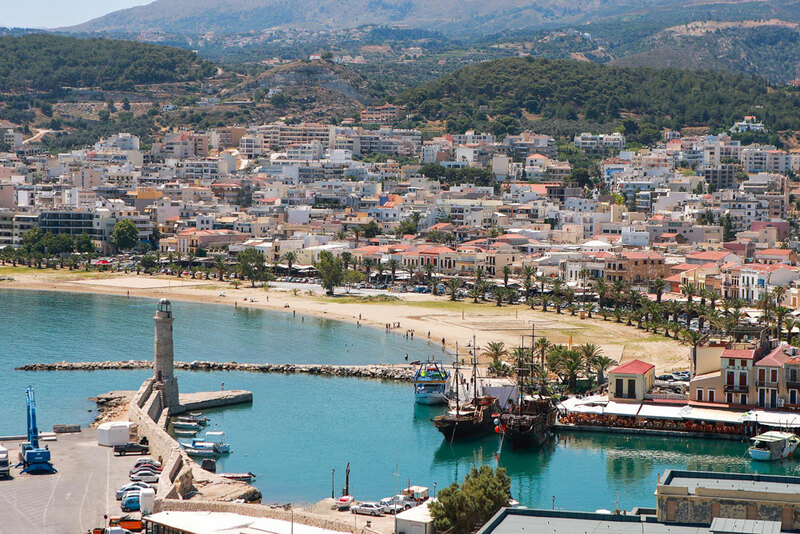 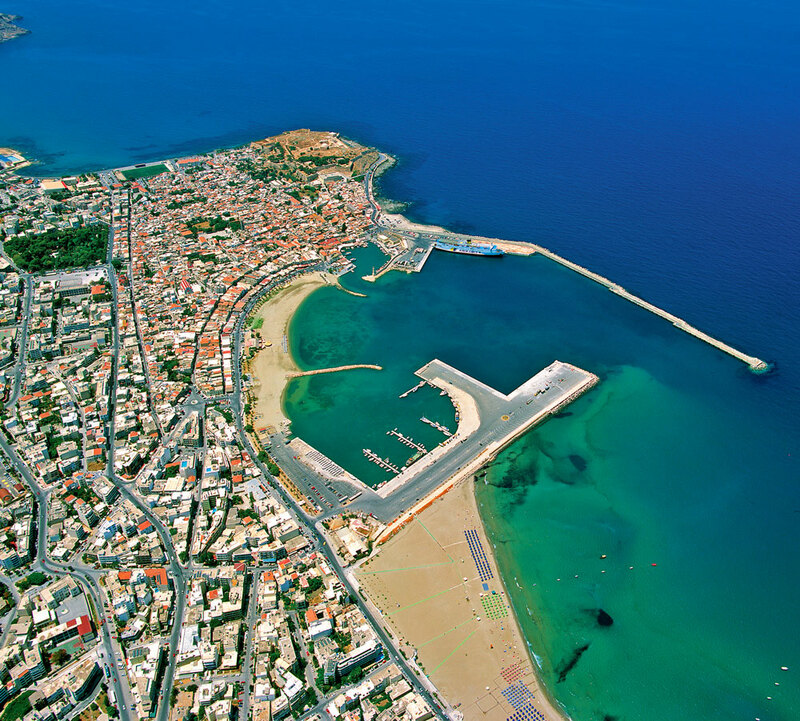 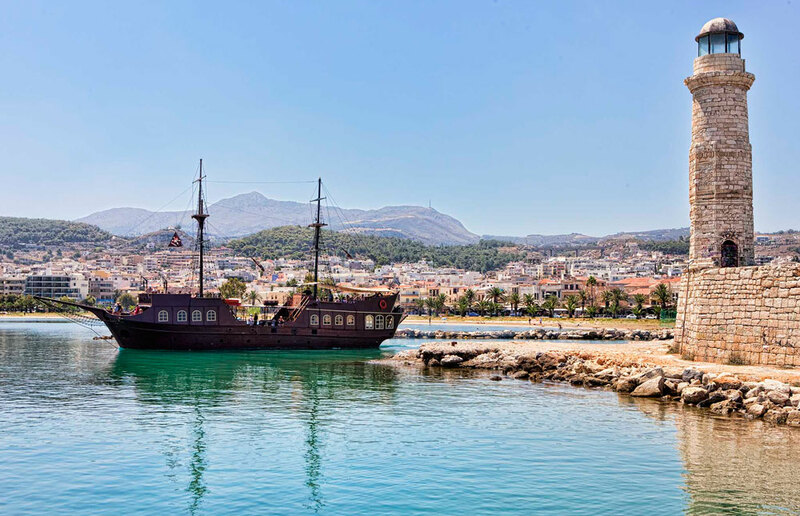 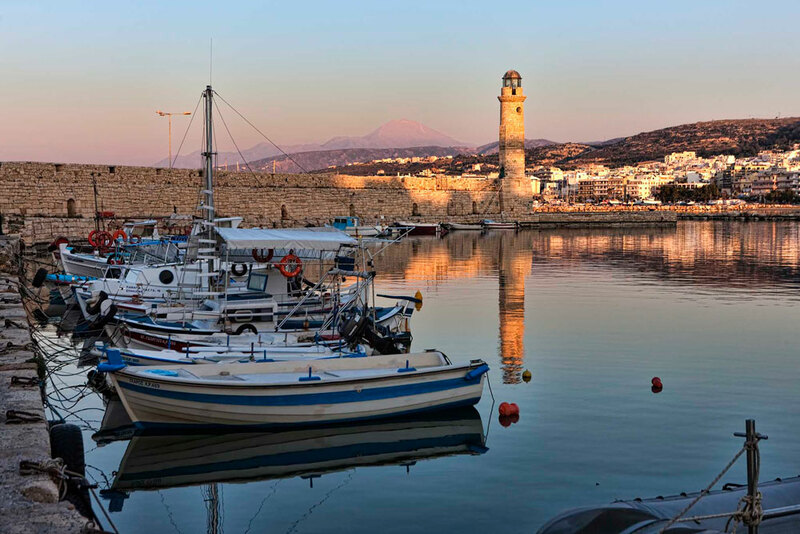 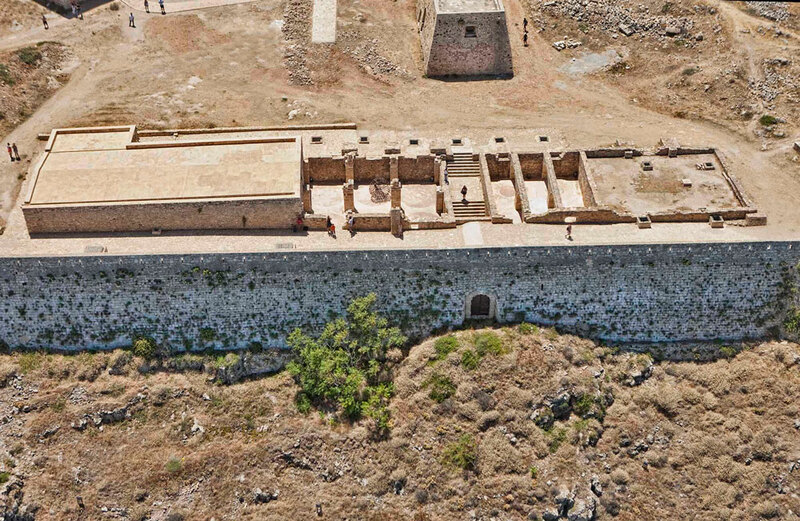 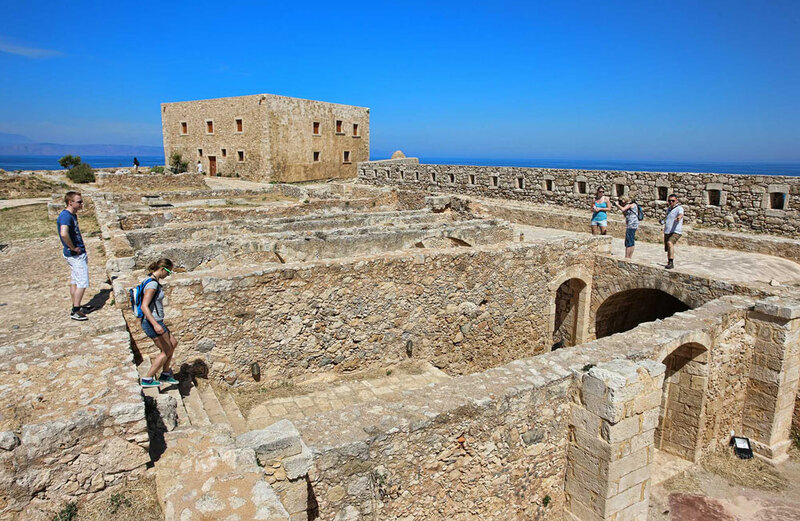 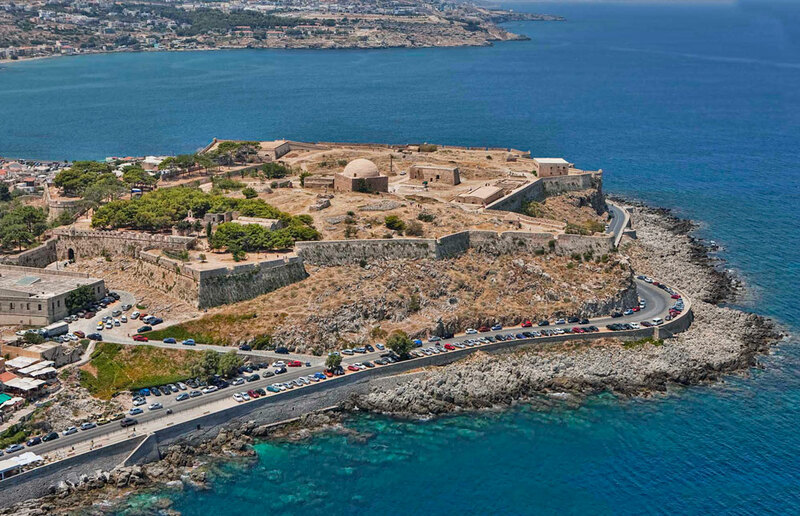 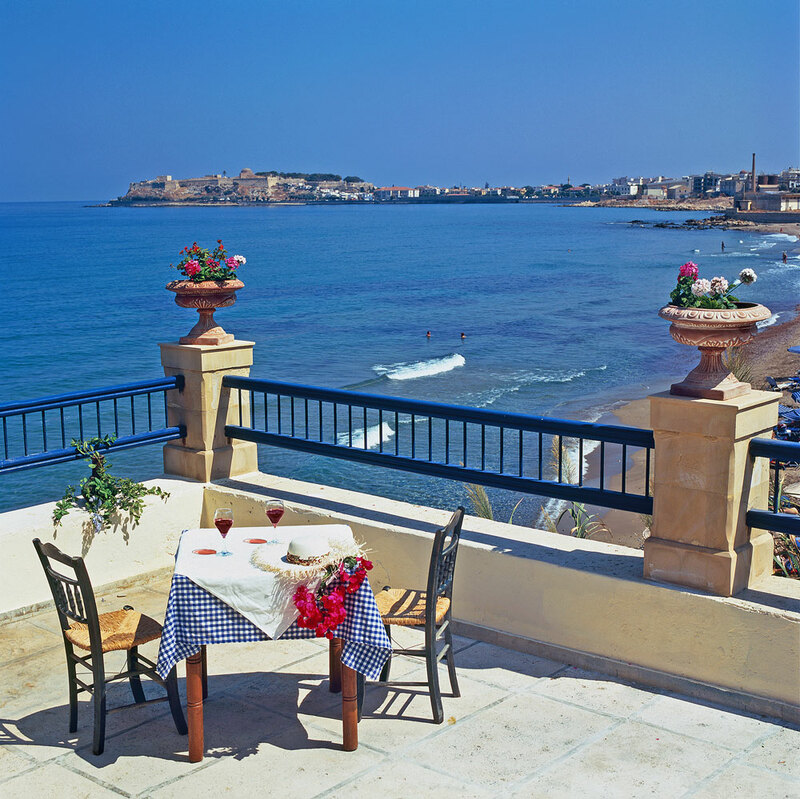 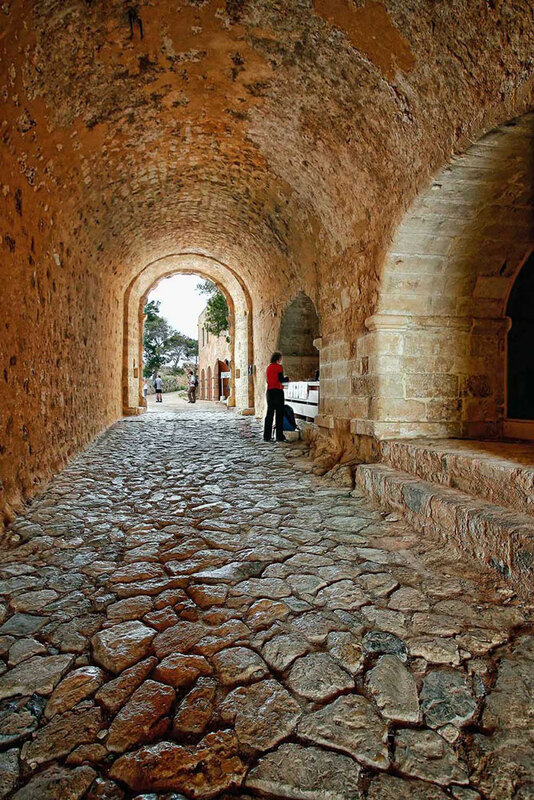 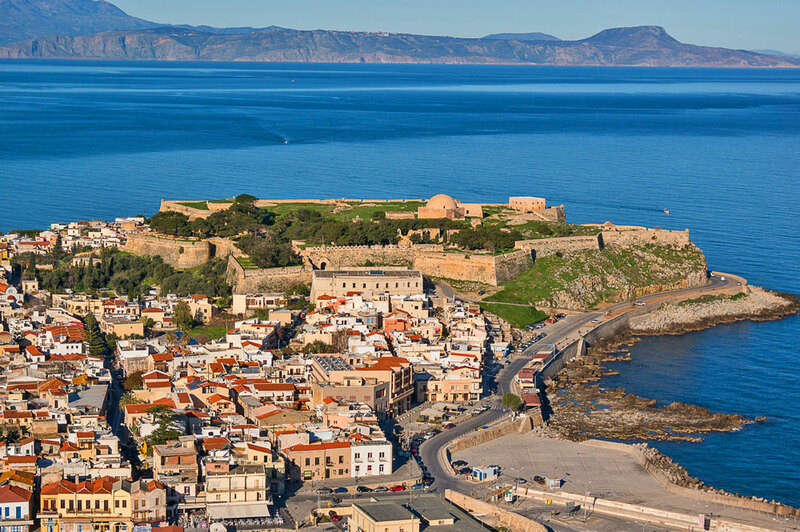 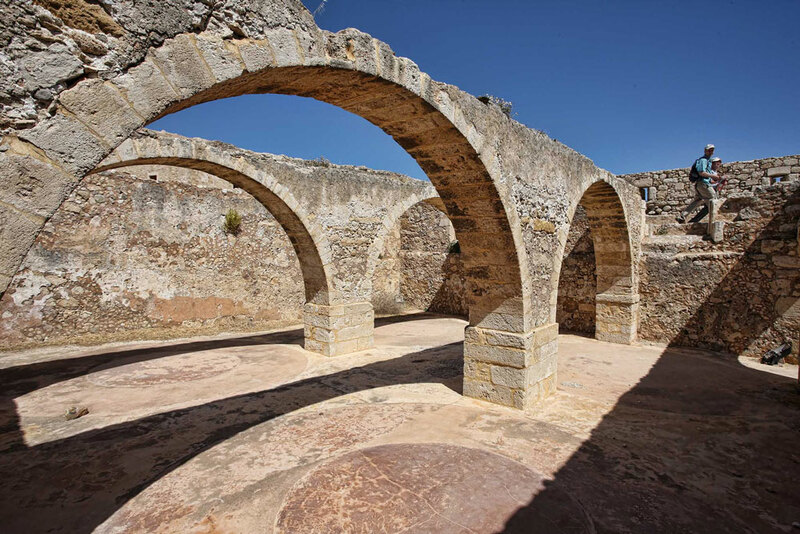 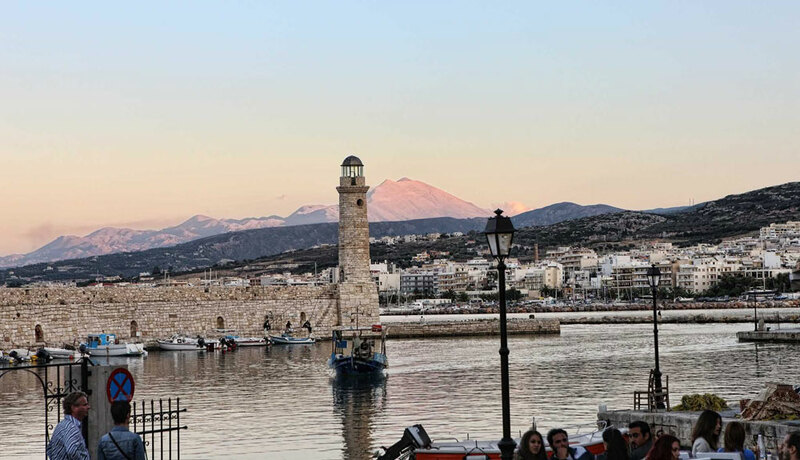 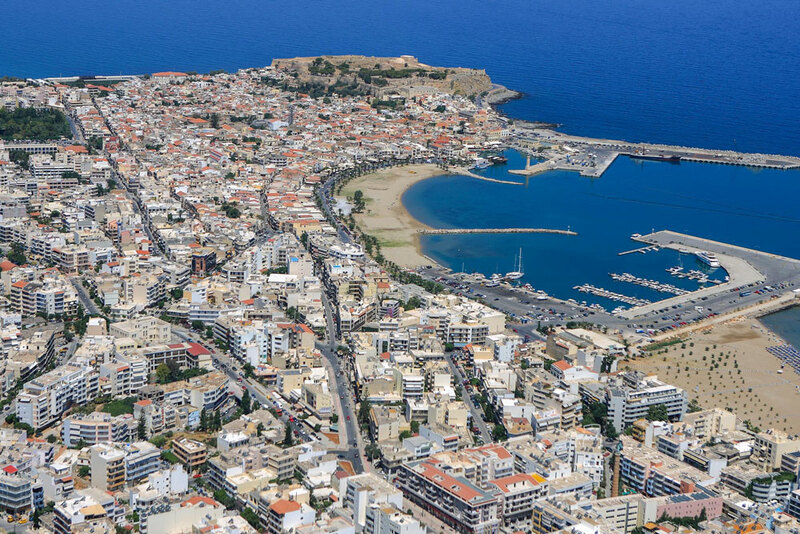 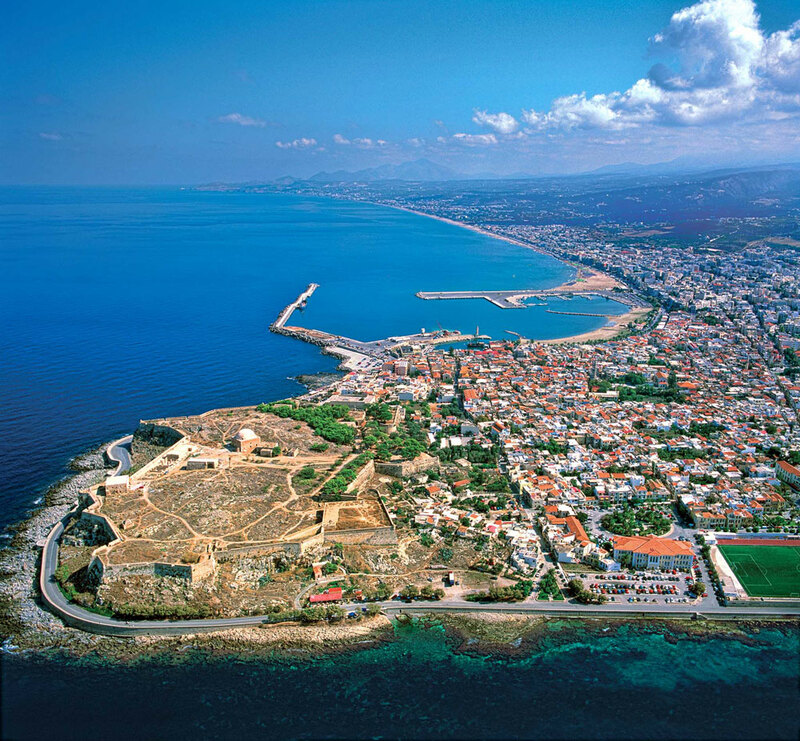 Fortezza, the Rethymno’s fortress was completed on 1590 and it is the trademark of the city. 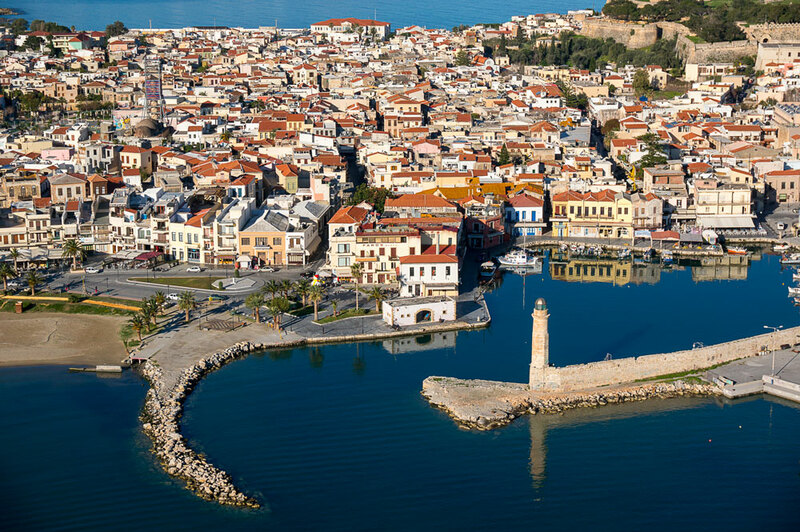 Built by the Venetians to protect the city from Ottomans’ attacks and pirates’ raids it stands upon the city, on the Palaiokastro hill. 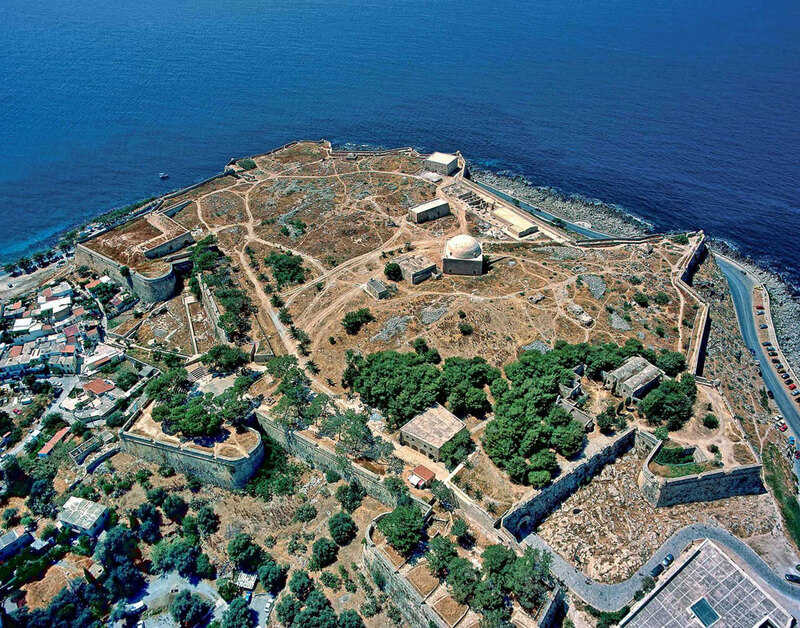 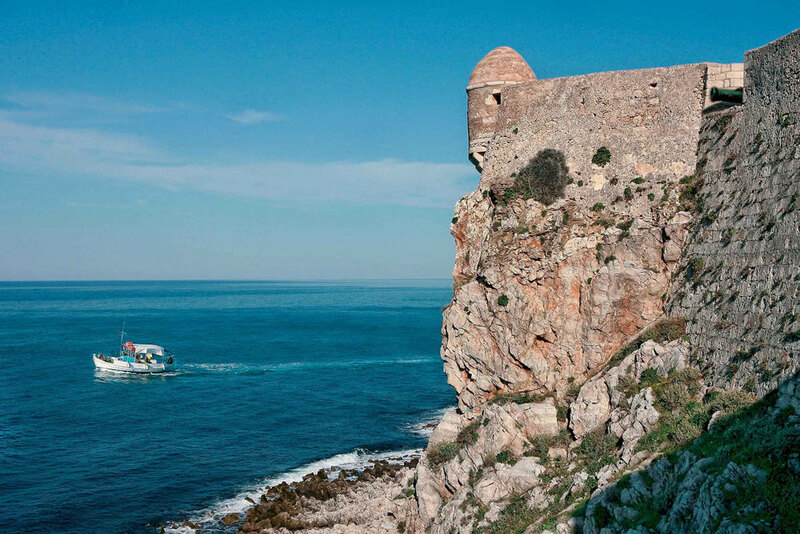 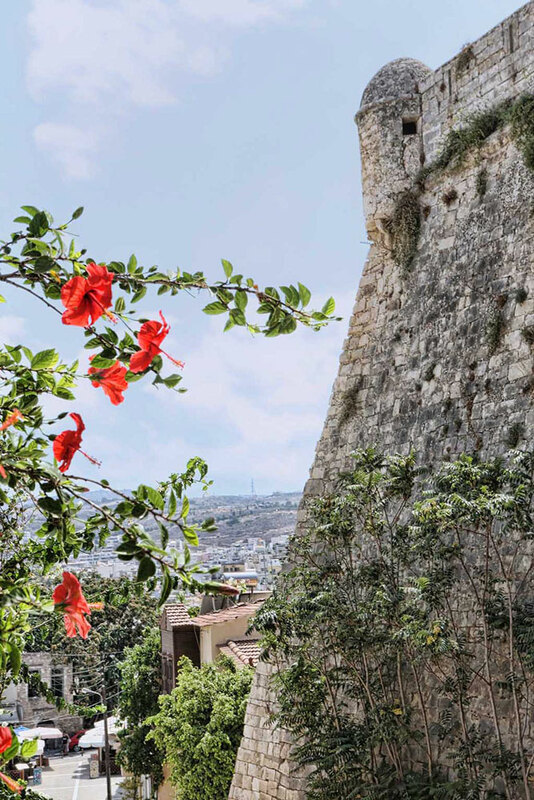 Most of the walls and buildings of the fortress are still in good condition and the view from Fortezza is astonishing. 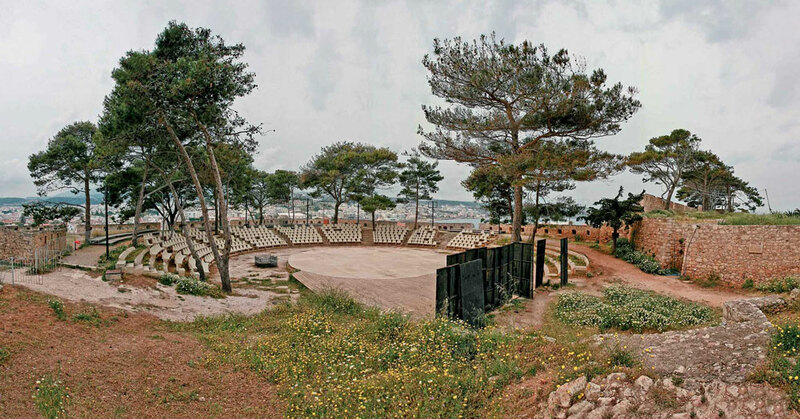 Within its walls the visitor will also find the outdoor municipal theatre “Erophili”, where most of the Renaissance Festival’s events take place. 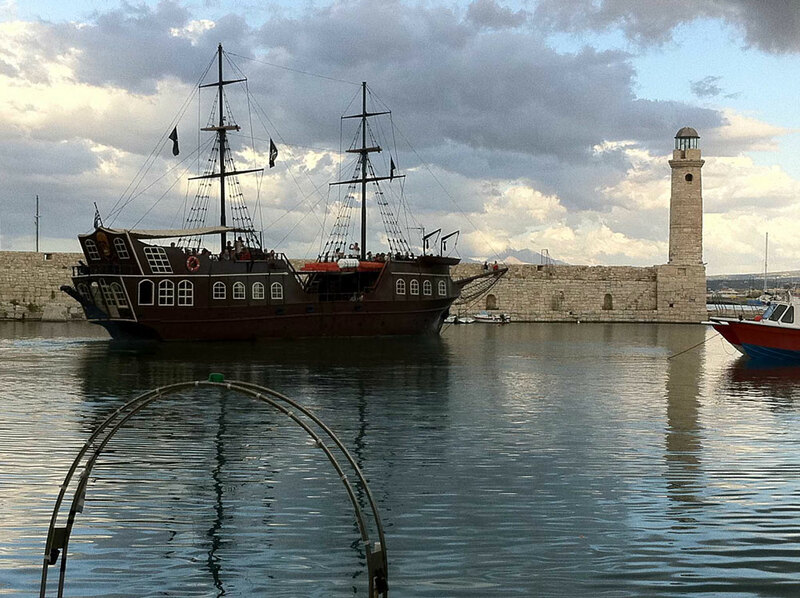 This beautiful harbor was built by the Venetians around 1300 AD and it’s still in use in our day. 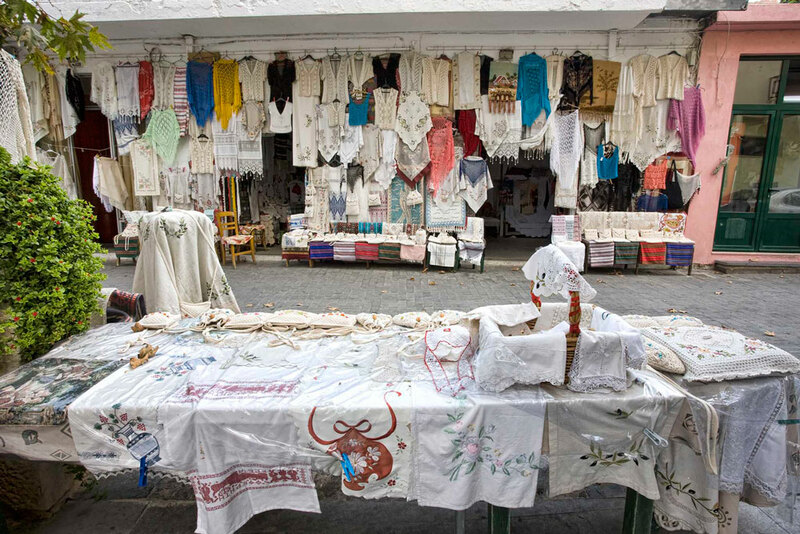 For many centuries it has been a commercial center and a traditional meeting place for people from around the world. 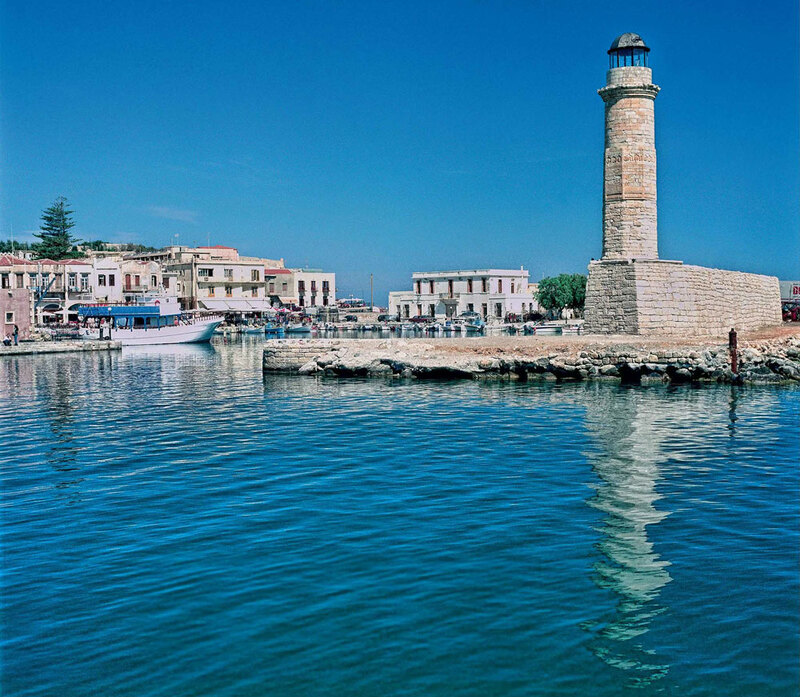 A lighthouse, still standing today, guided the commercial and military ships to moor in the harbor’s calm waters during the long and turbulent hi story of the city. 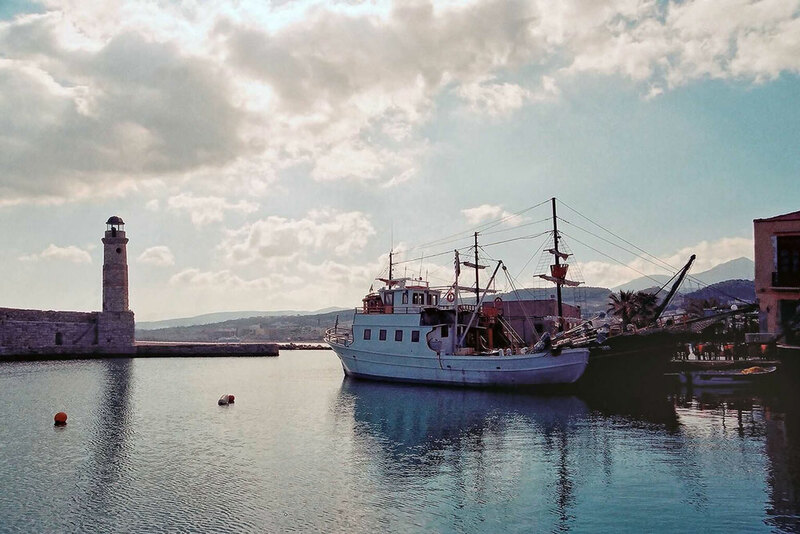 Today, the harbor has something for every visitor. 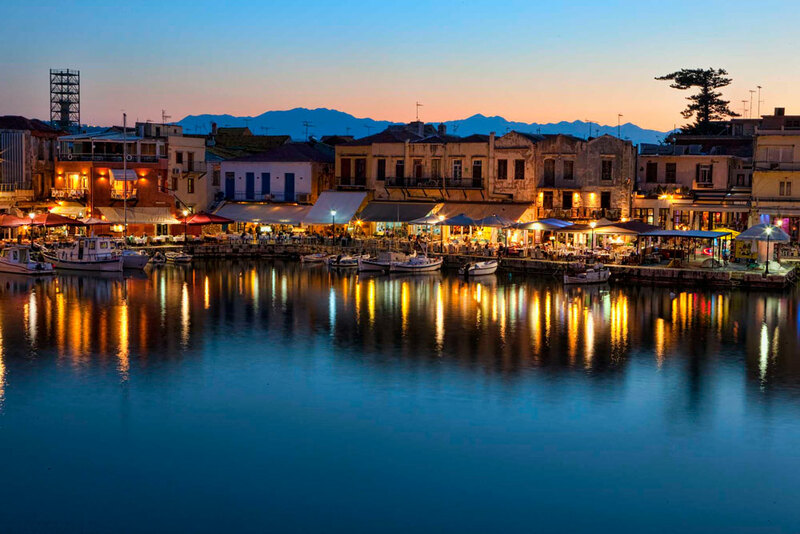 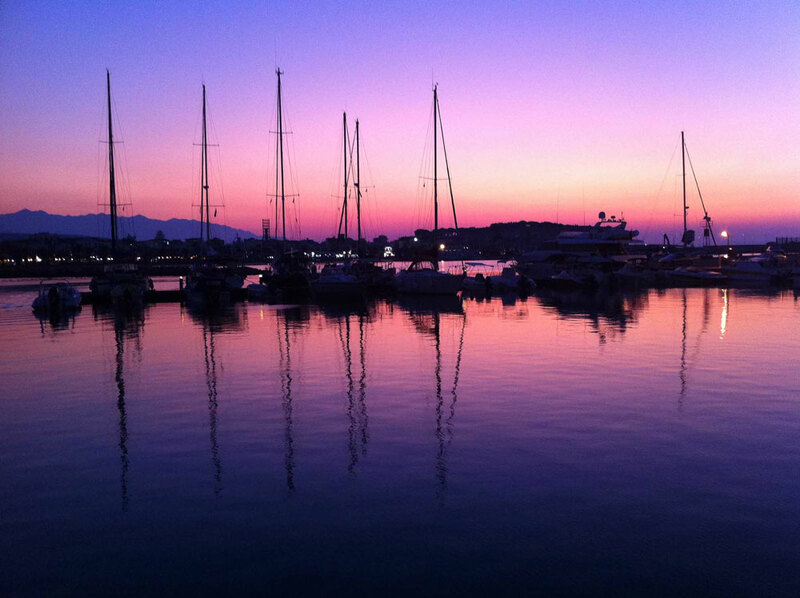 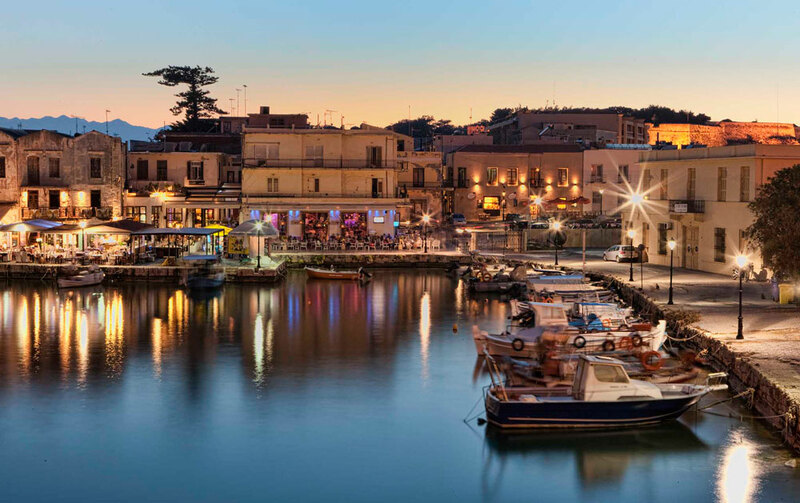 Whether you love long romantic walks by the sea, or you prefer to taste the Cretan cuisine and nightlife, the Venetian Harbor is the place to be. 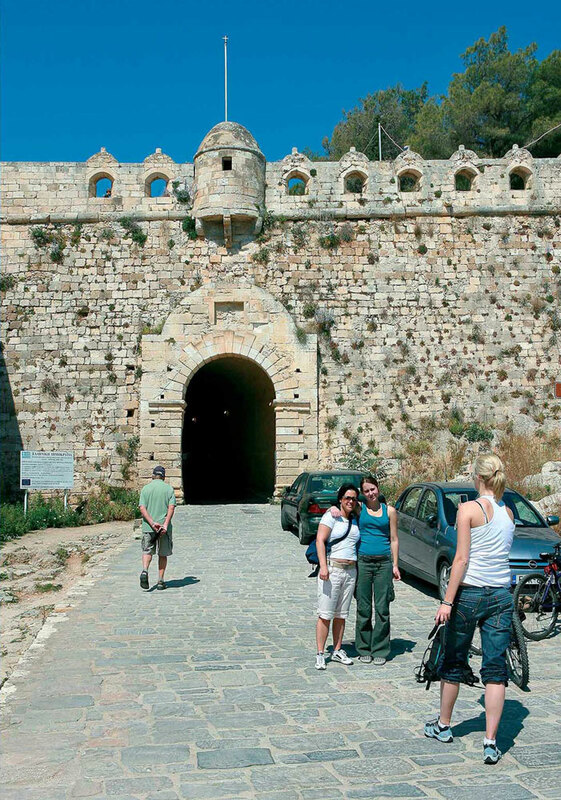 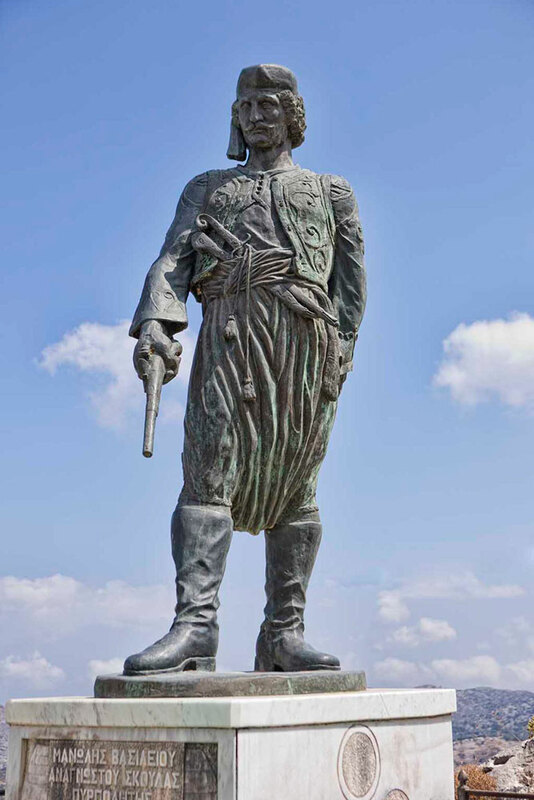 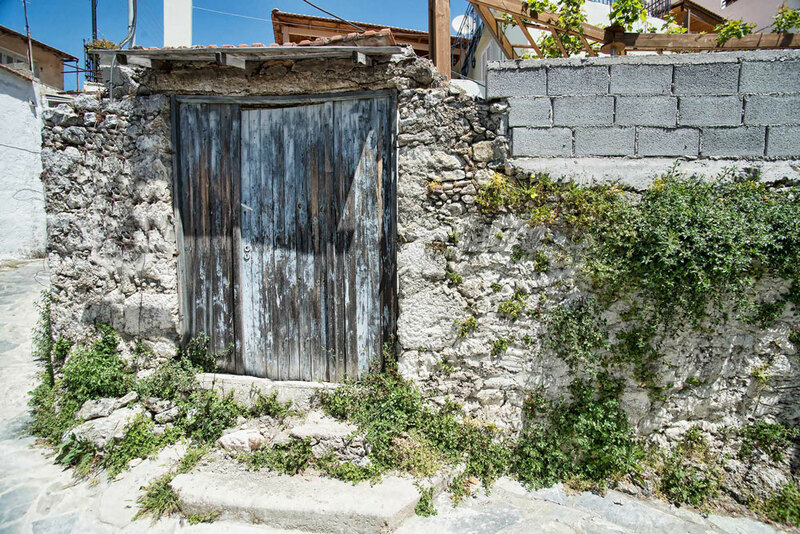 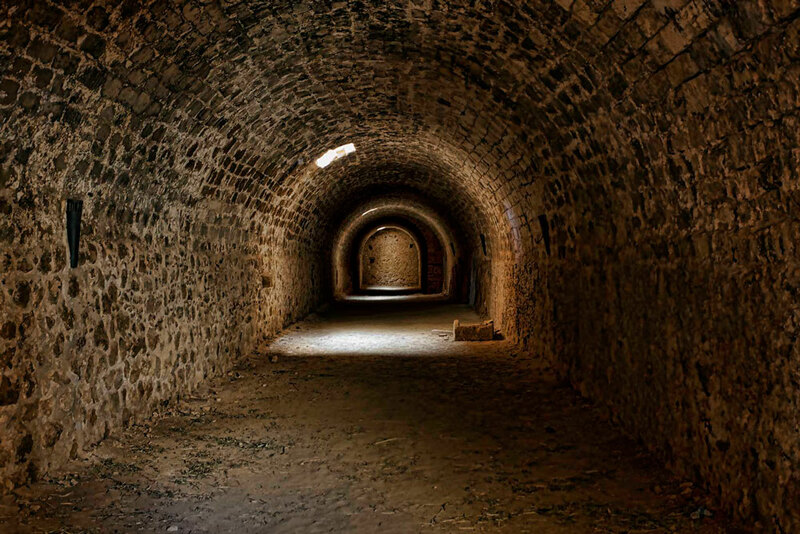 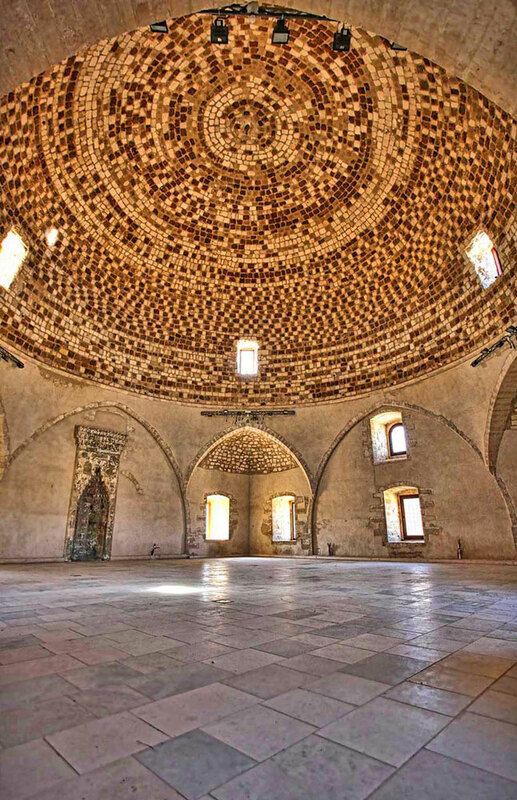 It is located in front of the entrance of Fortezza in a pentagonal building, once a stronghold built by the Ottomans. 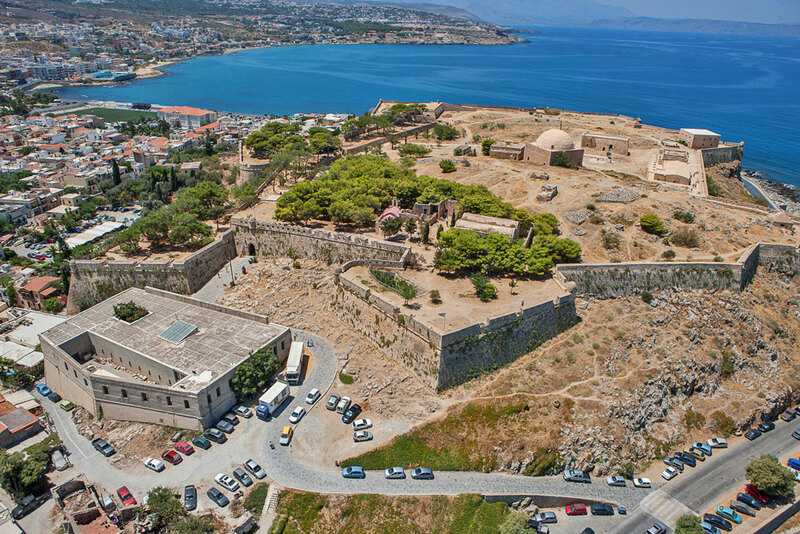 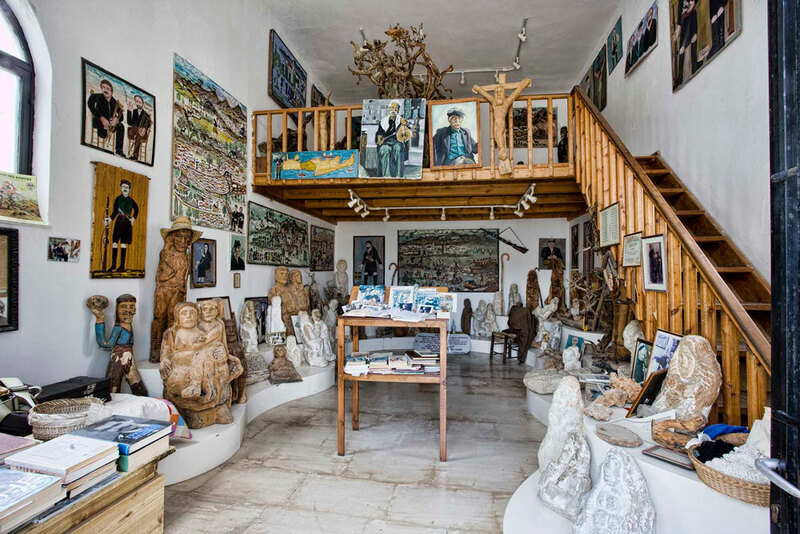 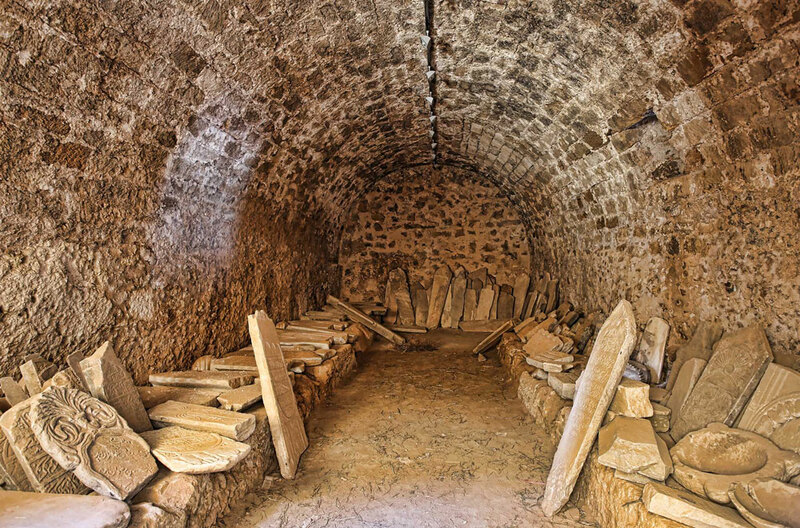 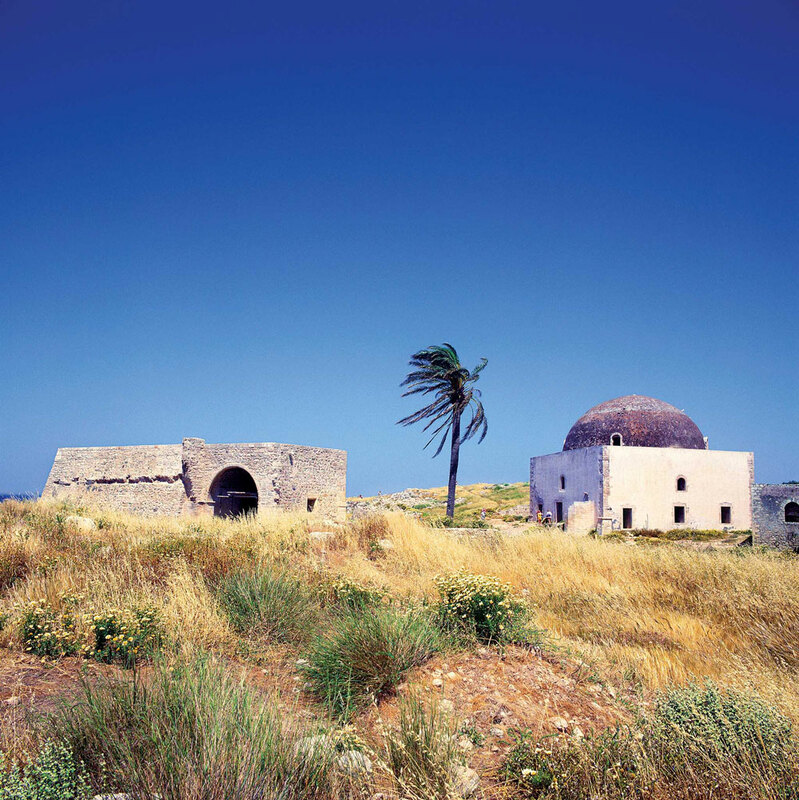 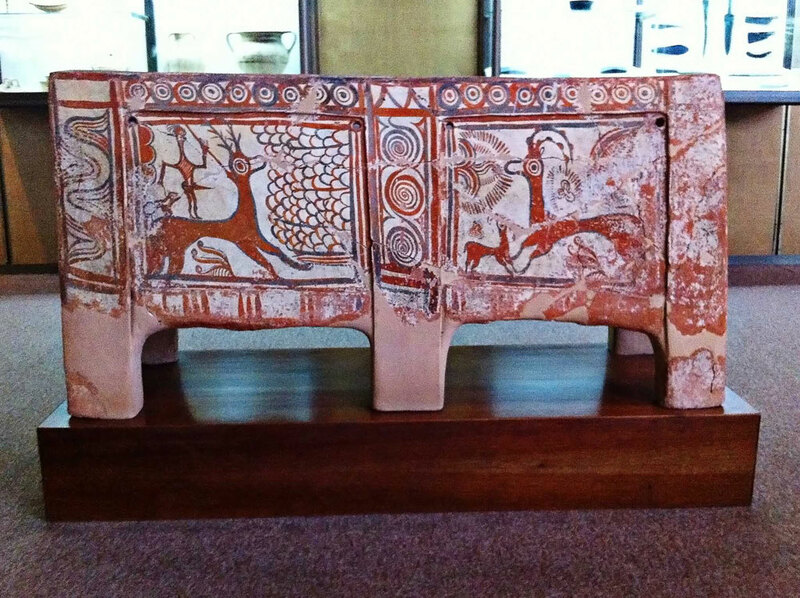 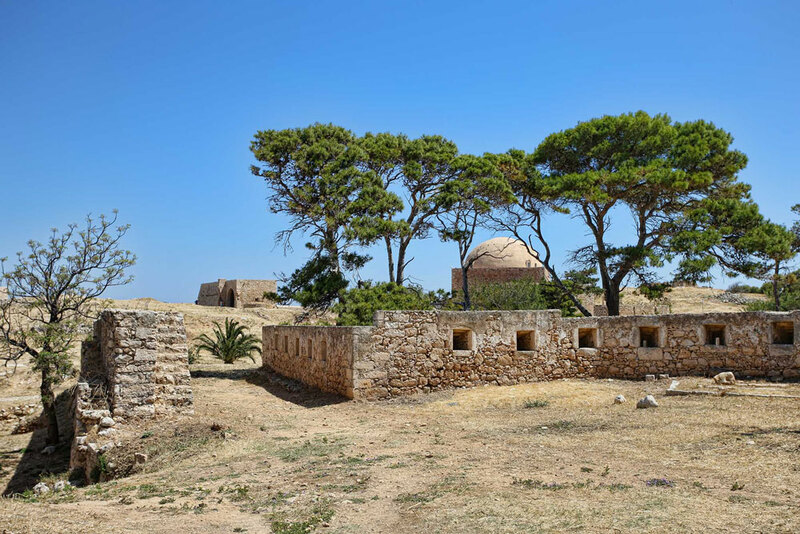 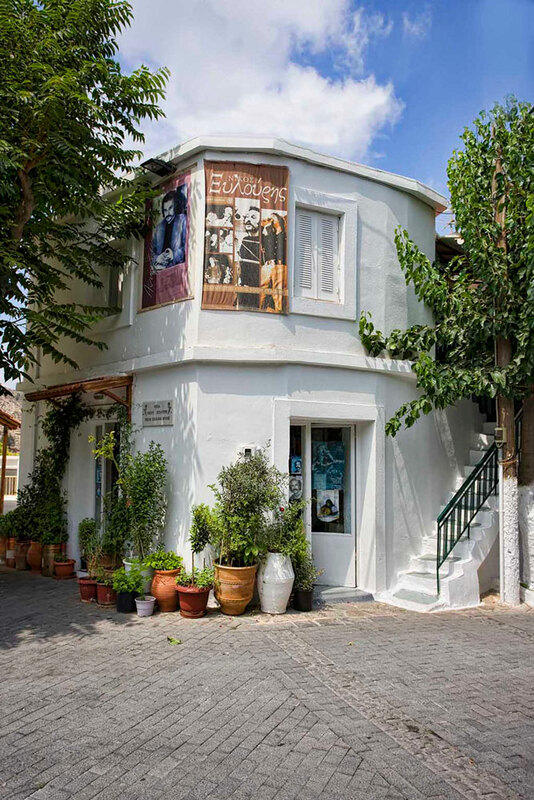 Inside it, several thousand years of local history are exhibited through important finds from the Rethymno wider area. 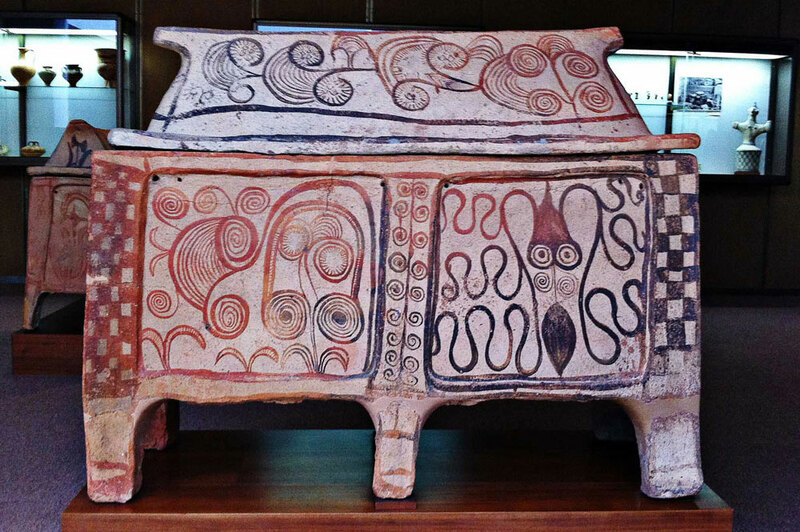 Works of art, tools and everyday objects found in caves, cities and graves arranged in chronological sequence and covering the Minoan, Geometric, Archaic, Classical, Hellenistic and Roman times, will astonish the visitor. 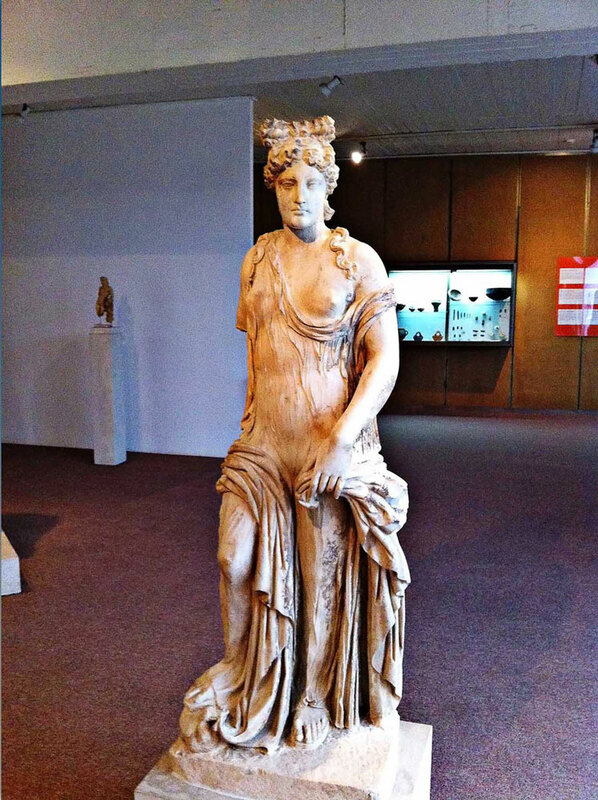 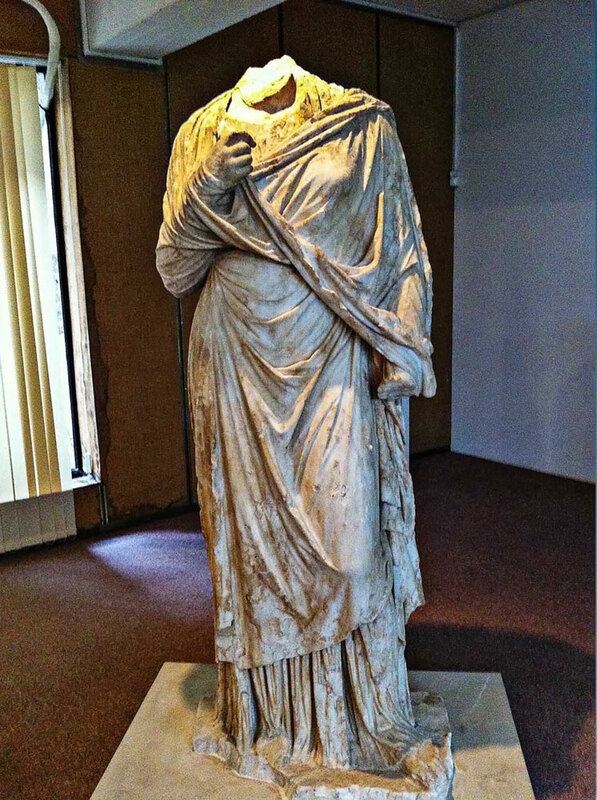 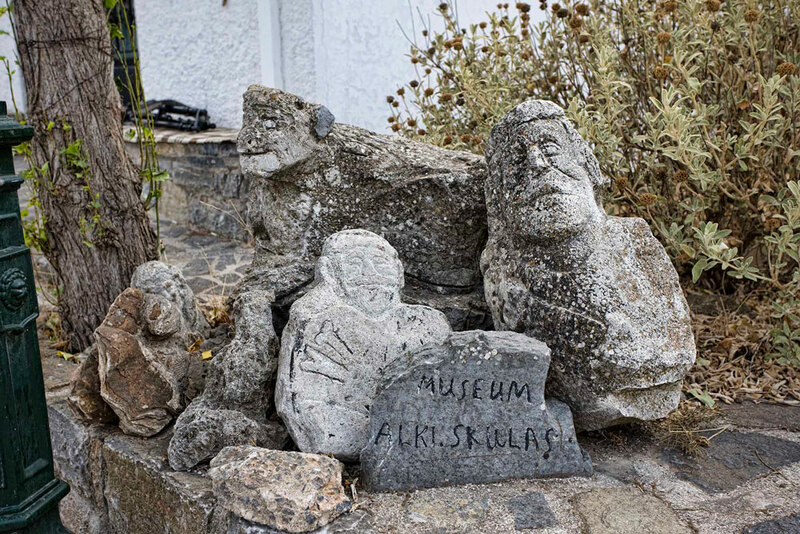 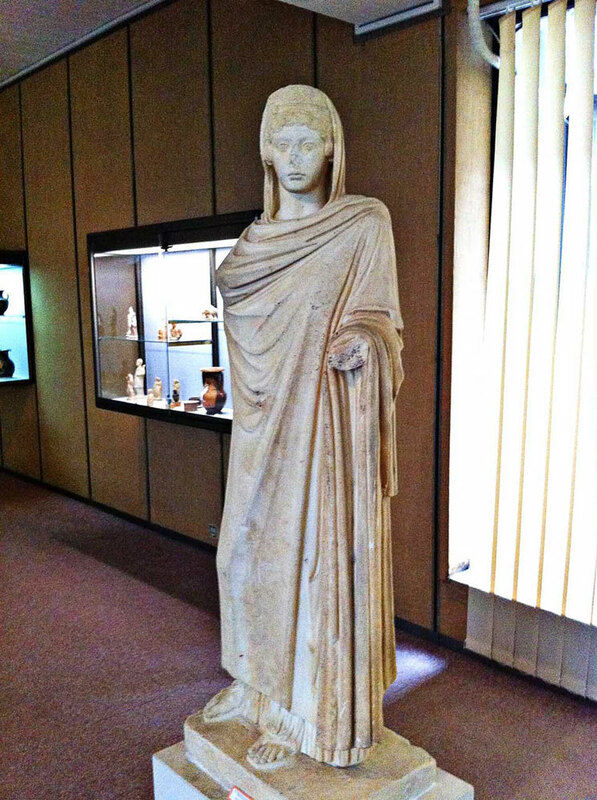 Several special events and exhibitions are organized by the Archeological museum each year so be sure to check it out. 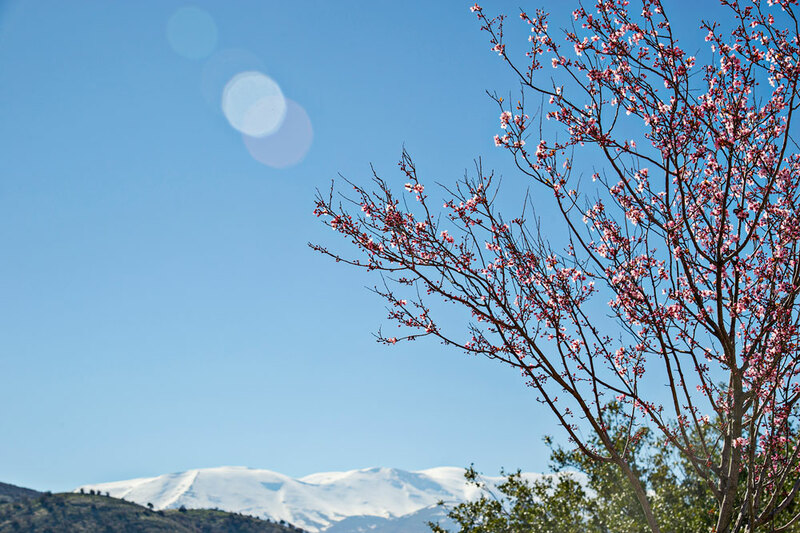 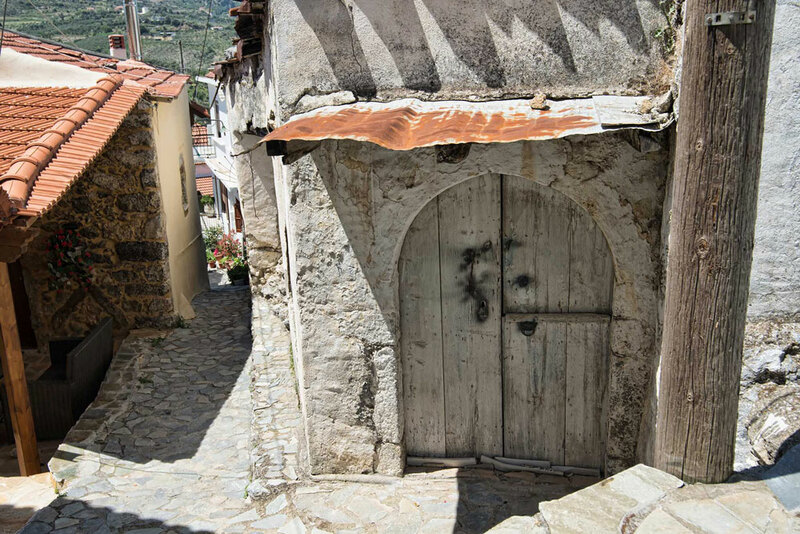 Spilli is a beautiful village built on a majestic location that offers a fantastic view to the sea and the surrounding area. 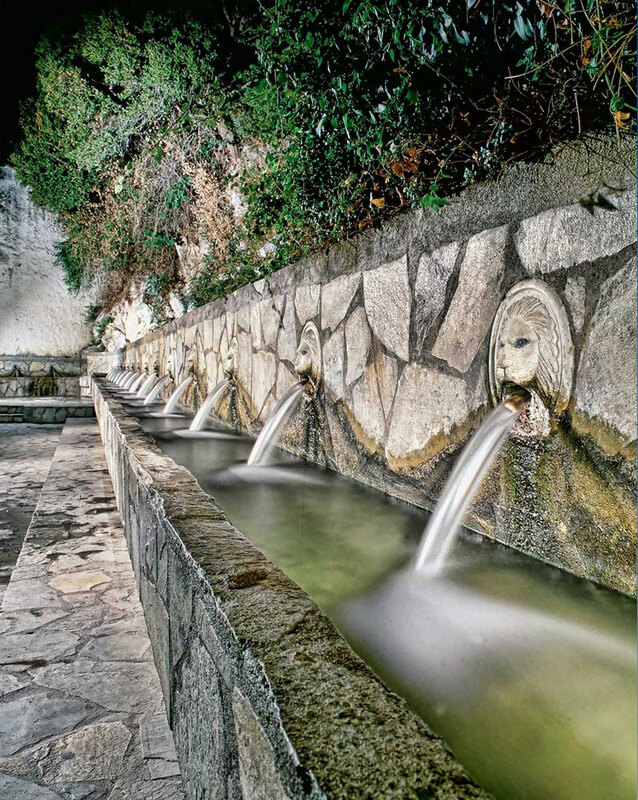 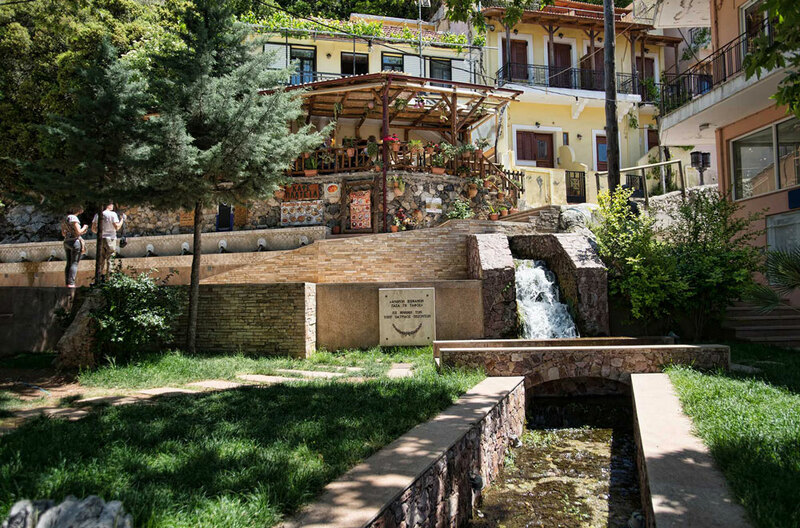 It is famous for its weaving production and in the main square of the village you will find a fountain shaped as a row of lion heads. 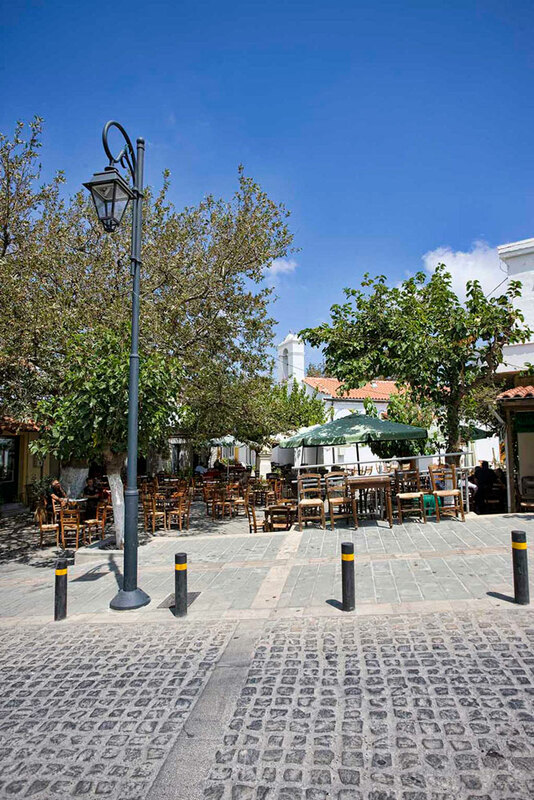 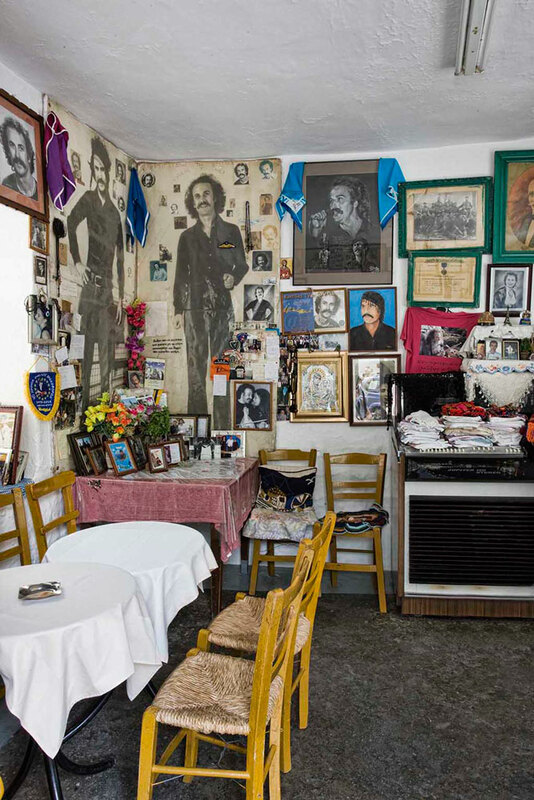 Taverns and cafes will provide you with food and drink before you depart for a tour to the interesting surrounding area. 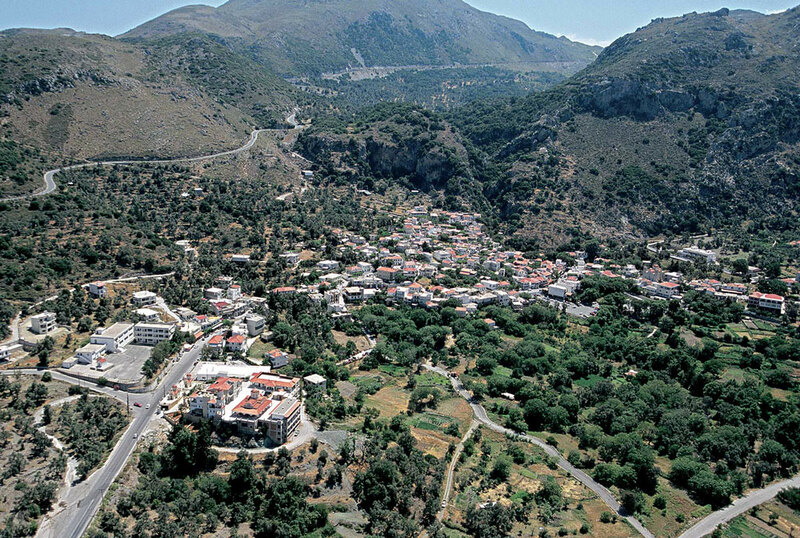 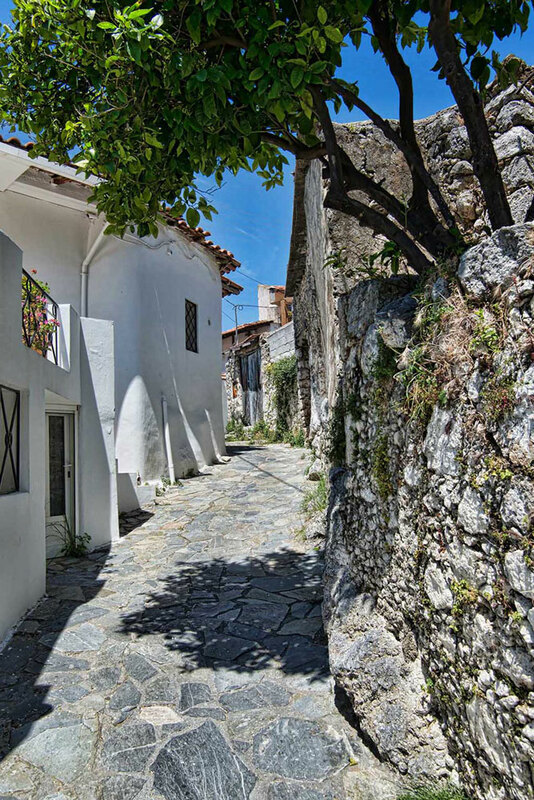 Anogia is the largest and most famous village of Psiloritis mountain. 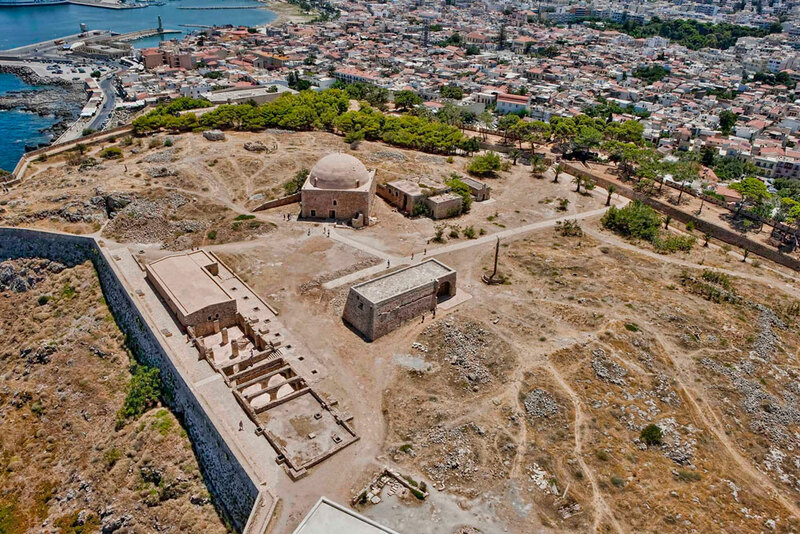 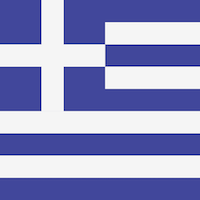 It has a great, although tragic, history and has been burned twice, once by Ottomans and once by Nazi conquerors. 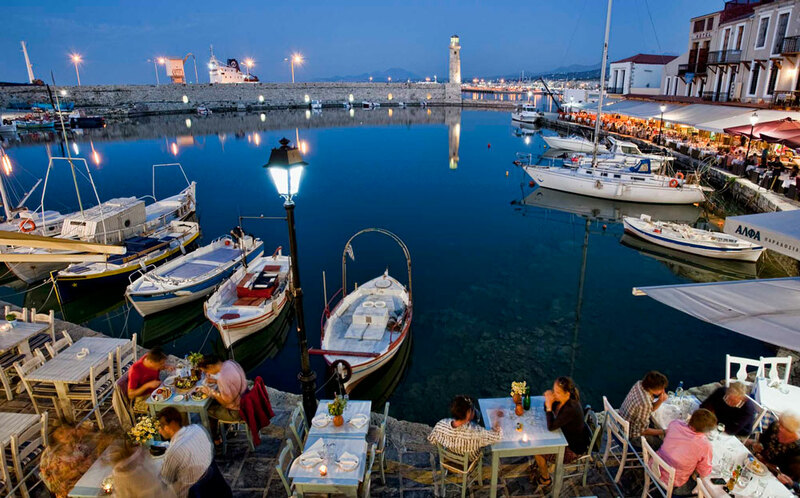 A perfect place if you enjoy food and tradition. 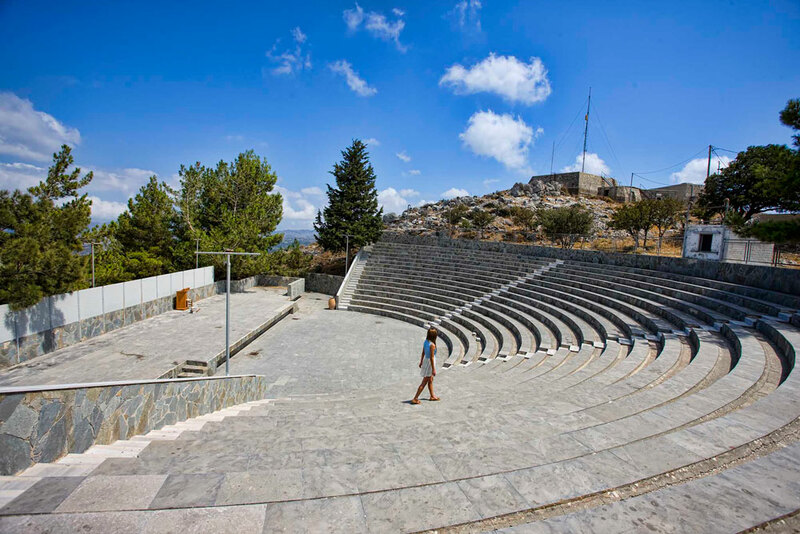 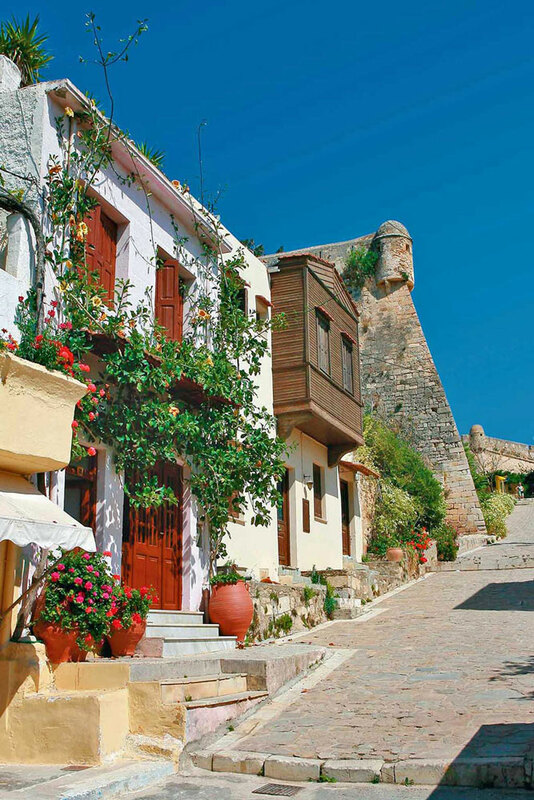 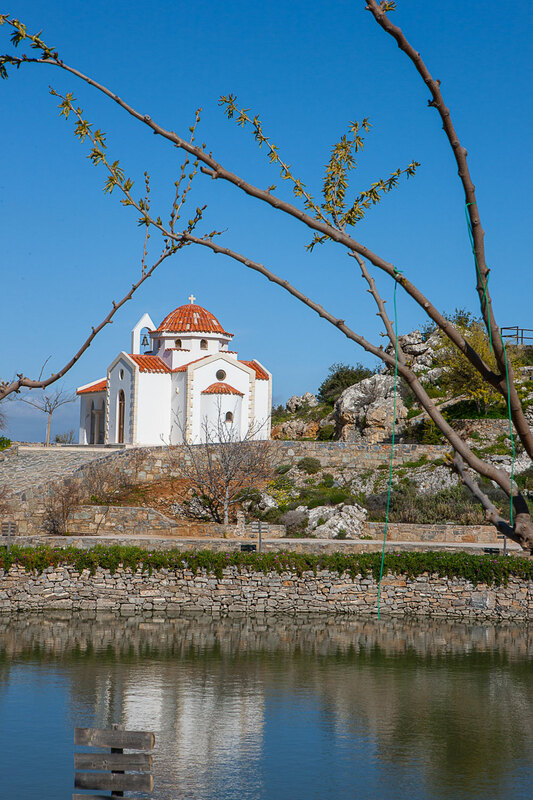 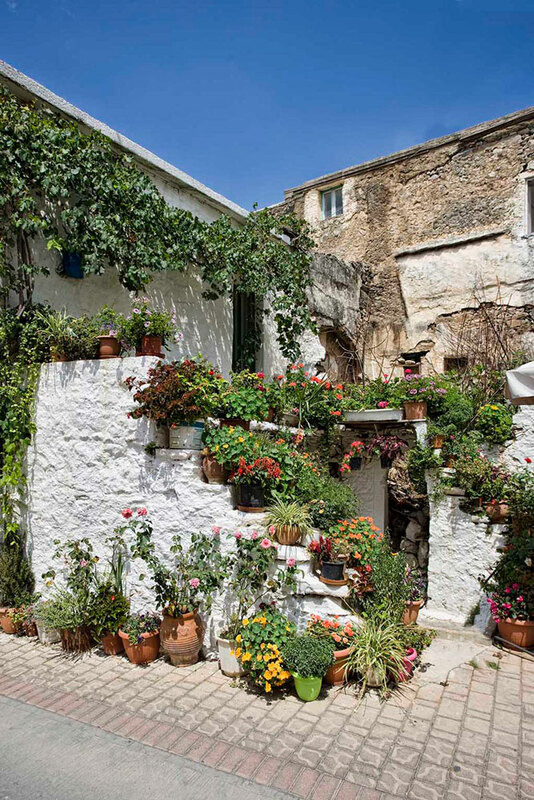 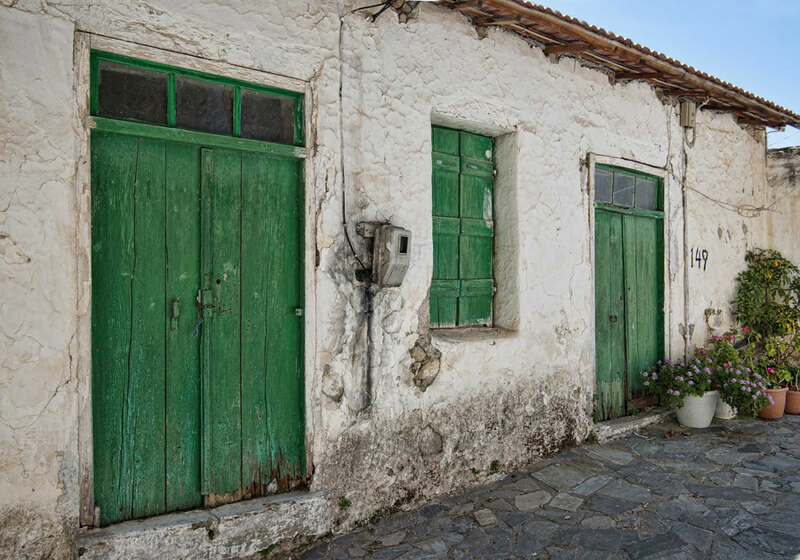 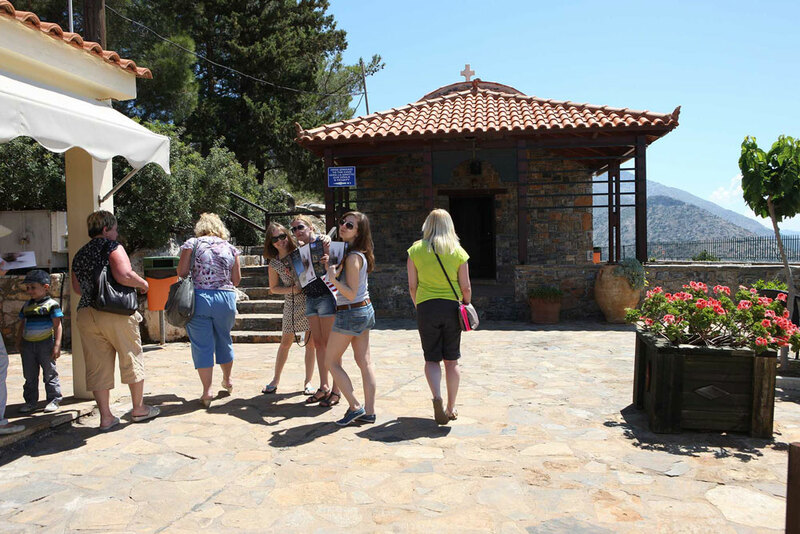 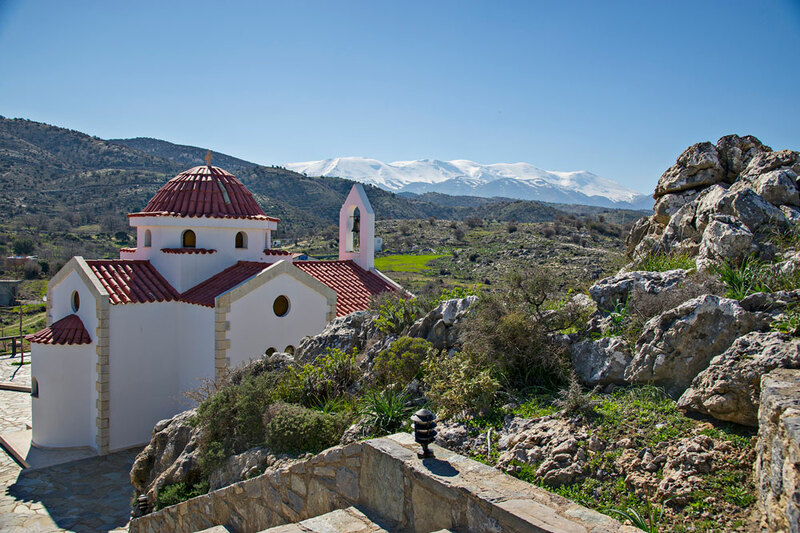 A great deal of cultural and folklore events take place in Anogia during the summer.